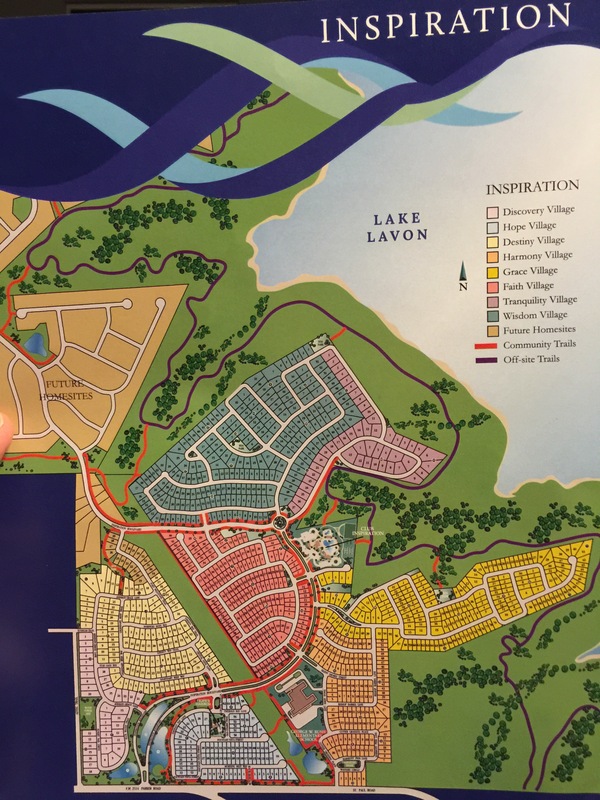 Inspiration Development in St Paul (Wylie) has some serious Potential for an Amazing Community by Lake Lavon! 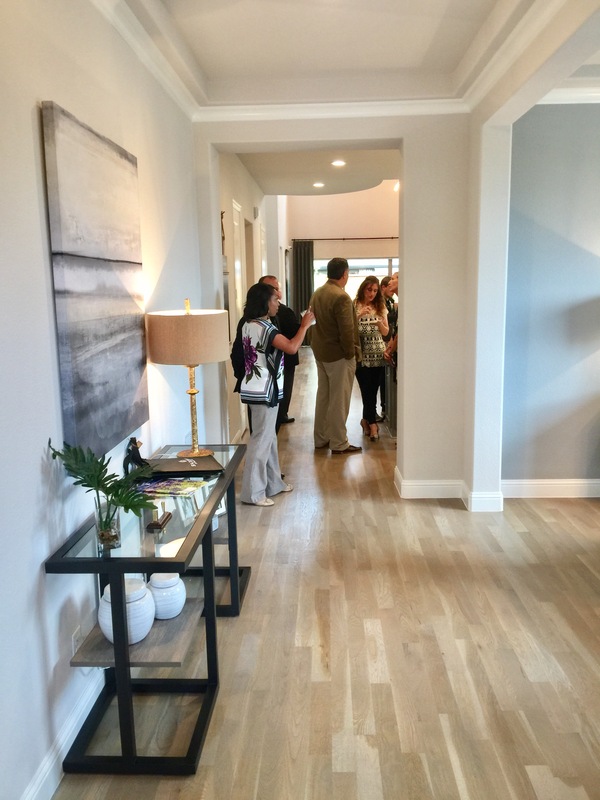 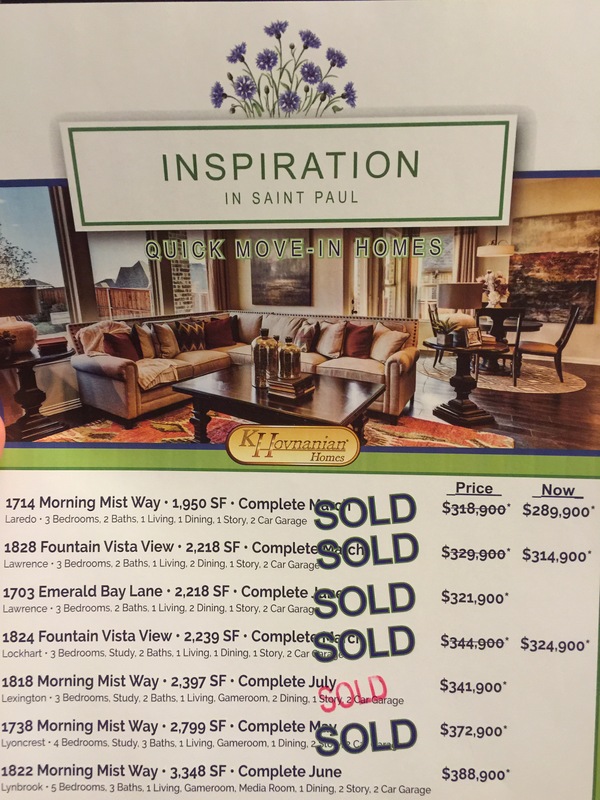 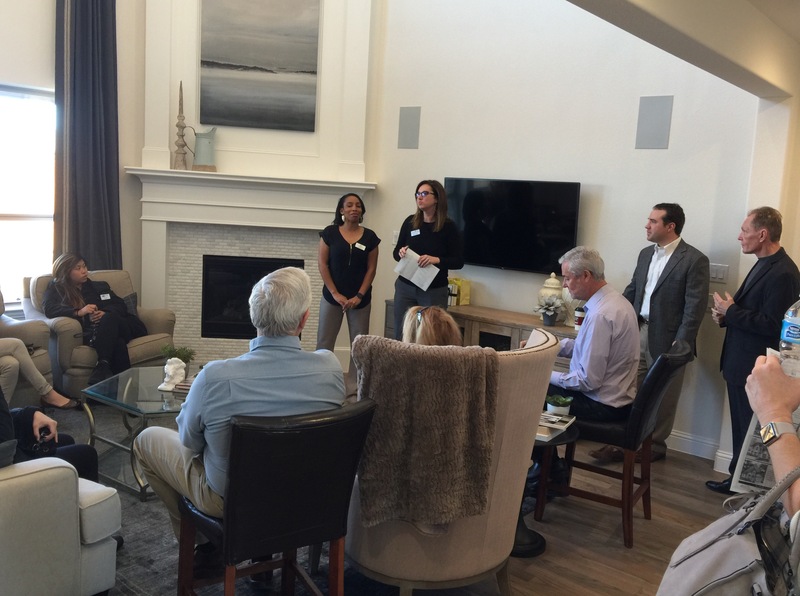 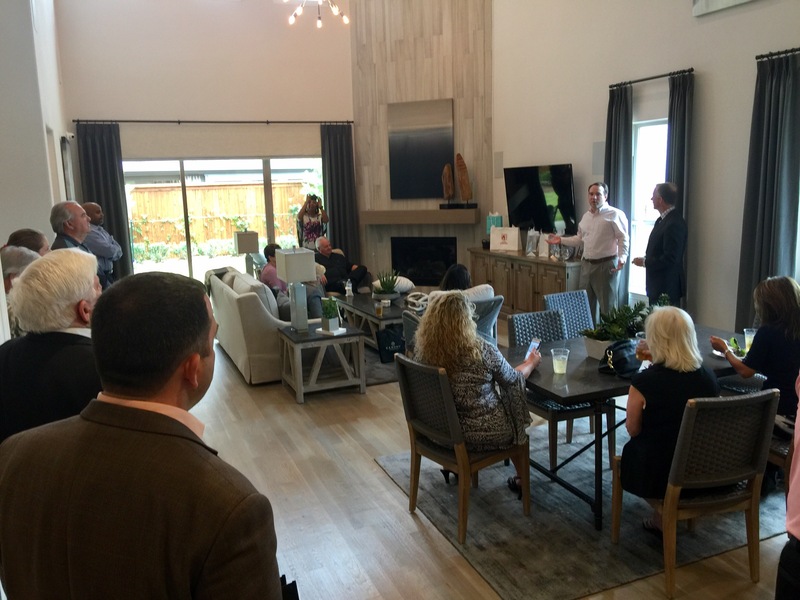 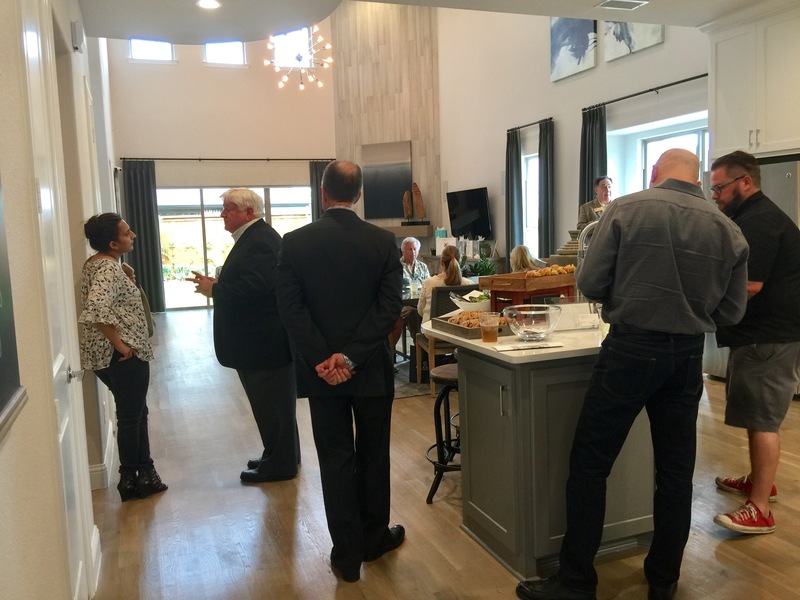 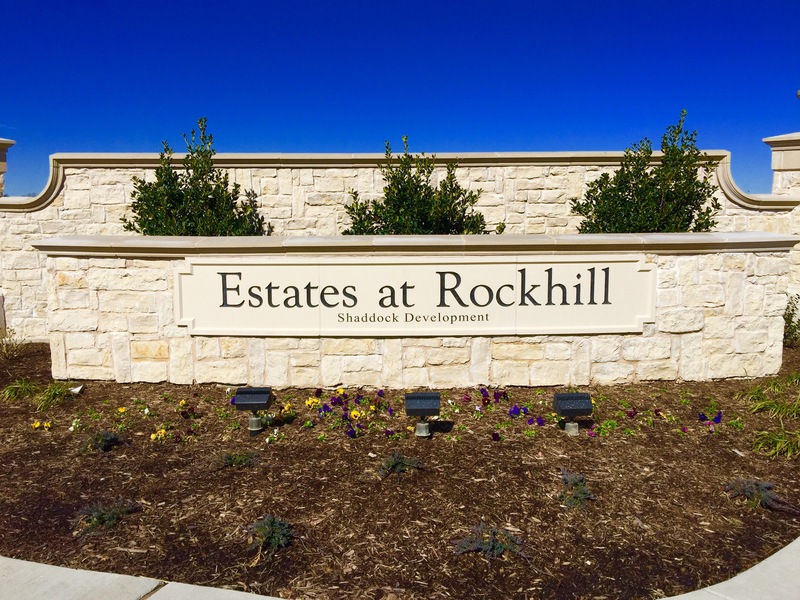 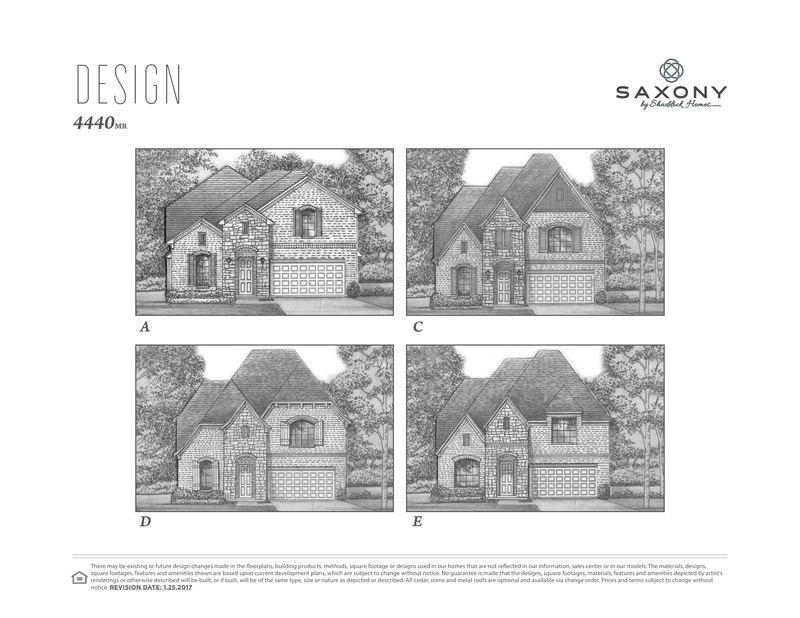 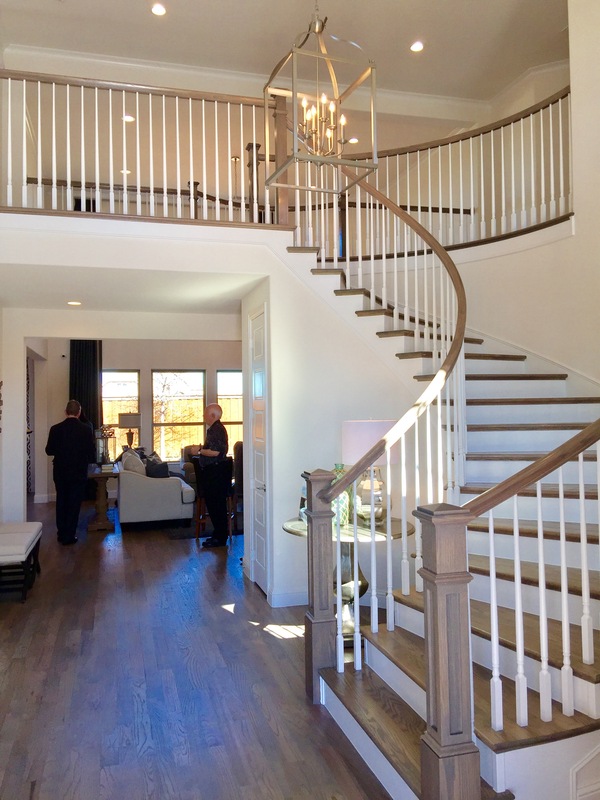 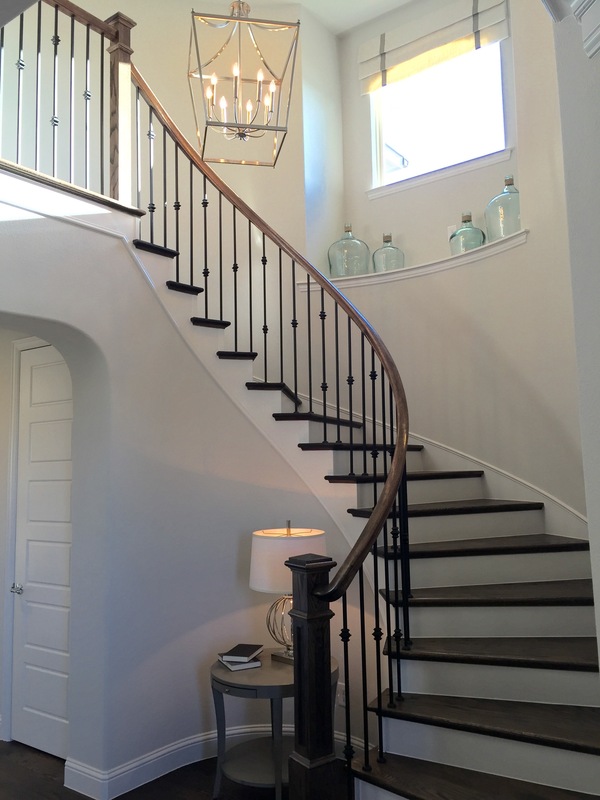 Inspiration Development in St Paul, Texas truly has what most people are looking for in today’s hot housing market! 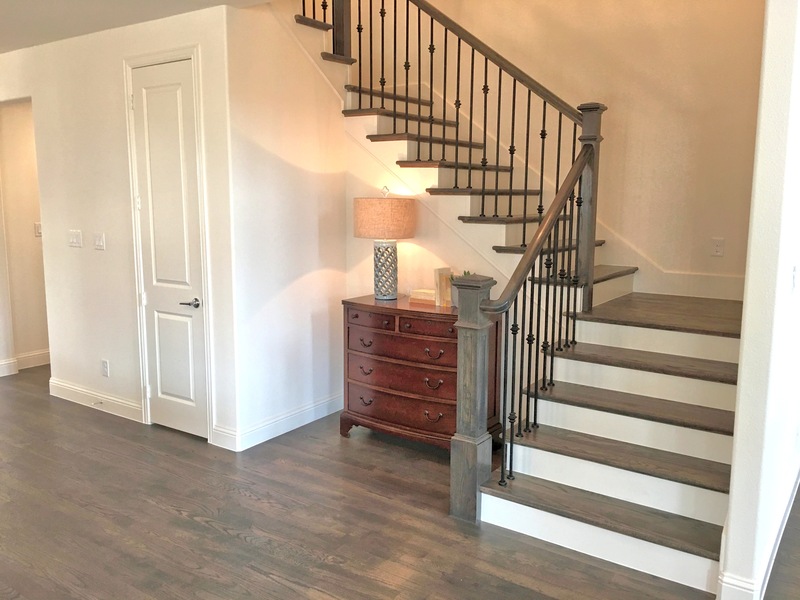 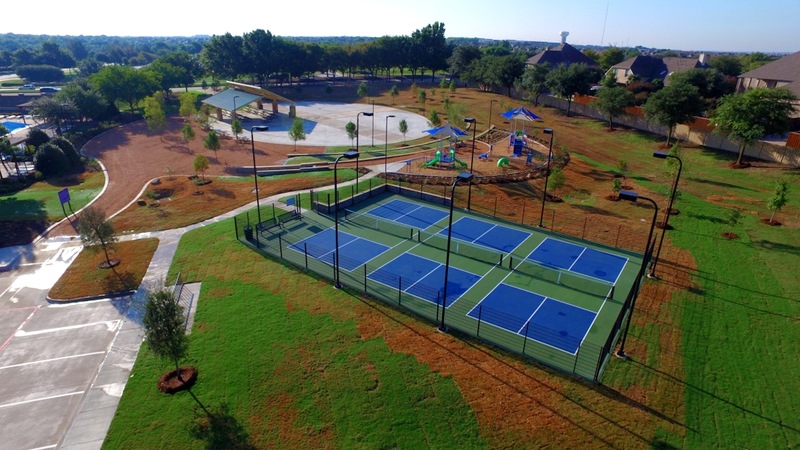 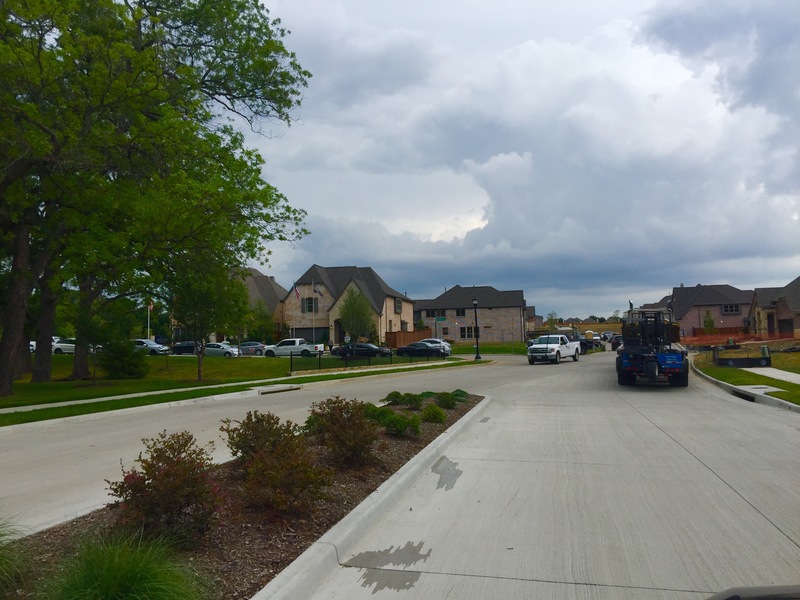 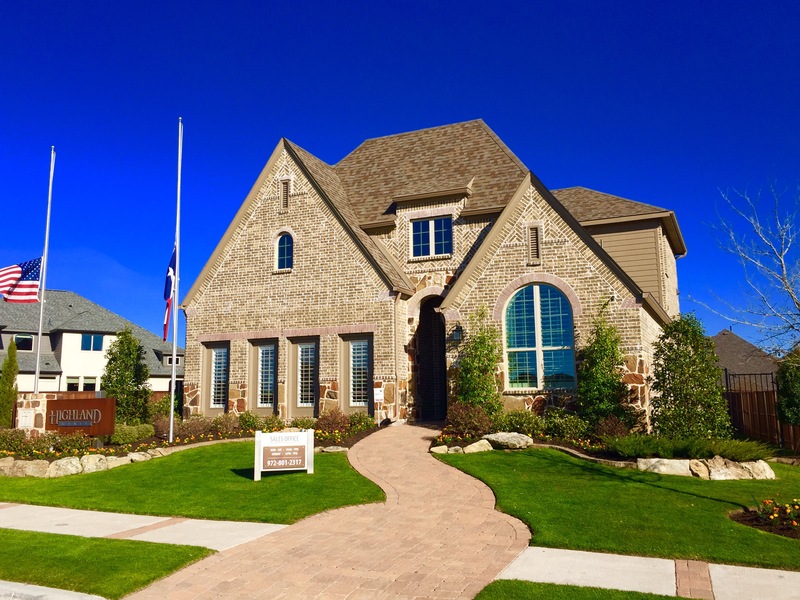 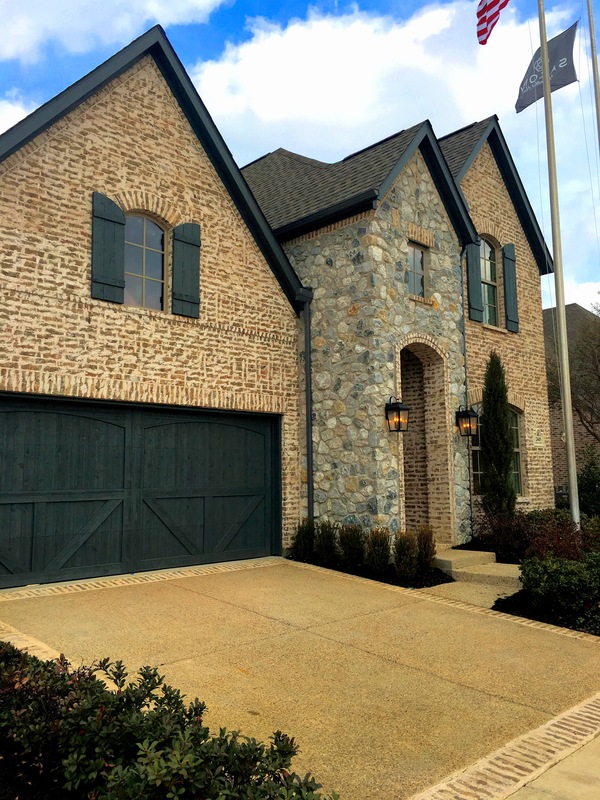 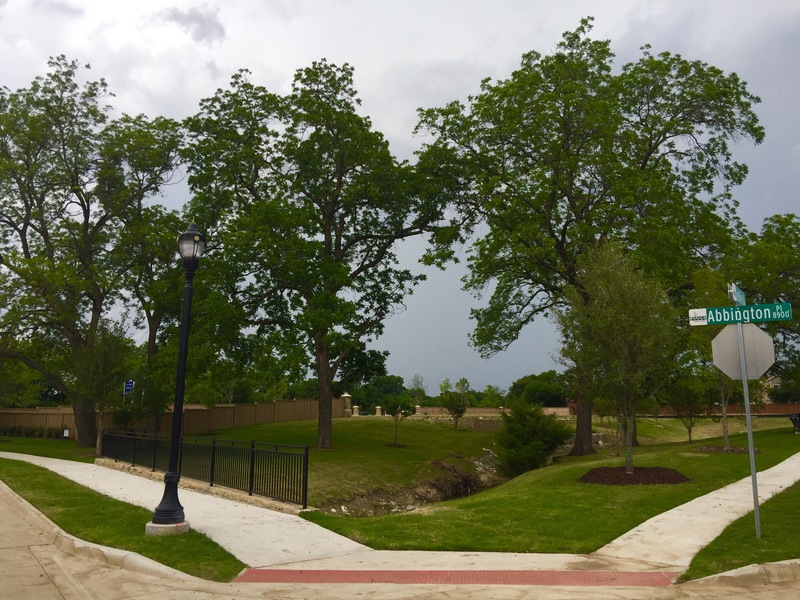 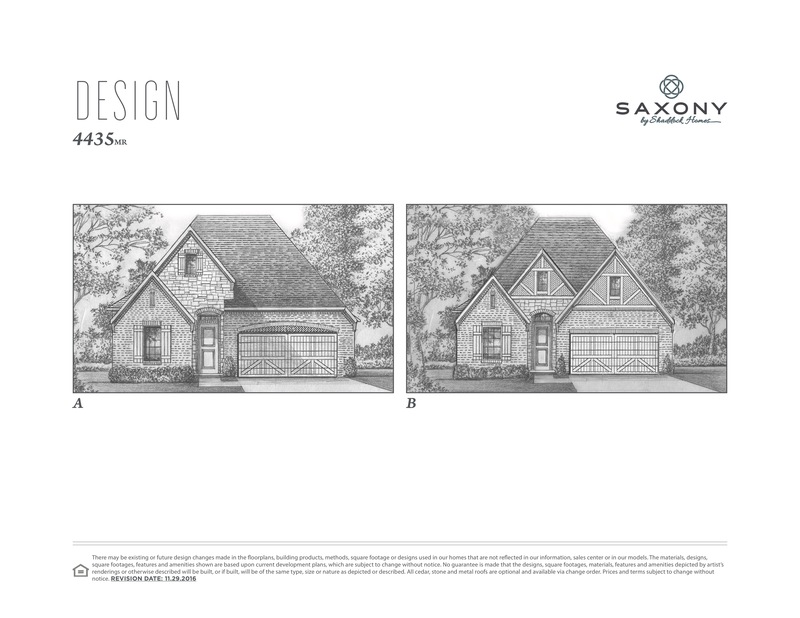 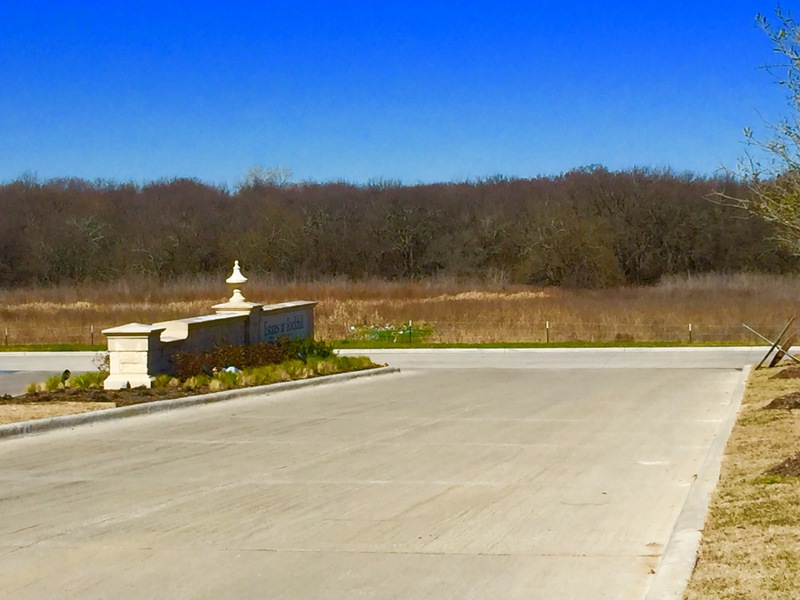 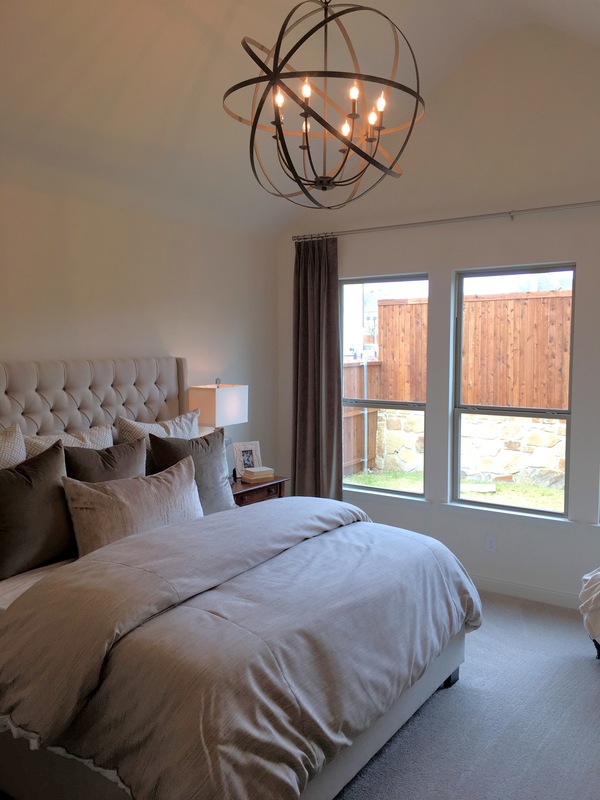 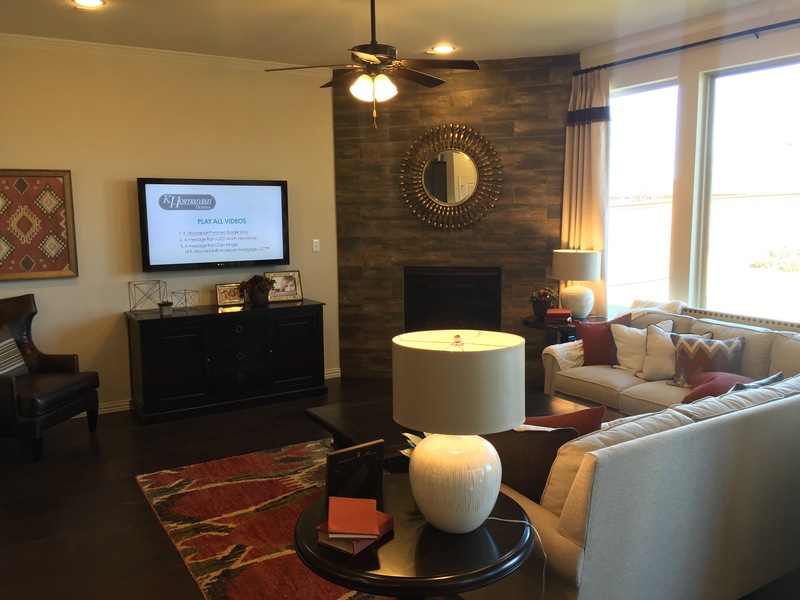 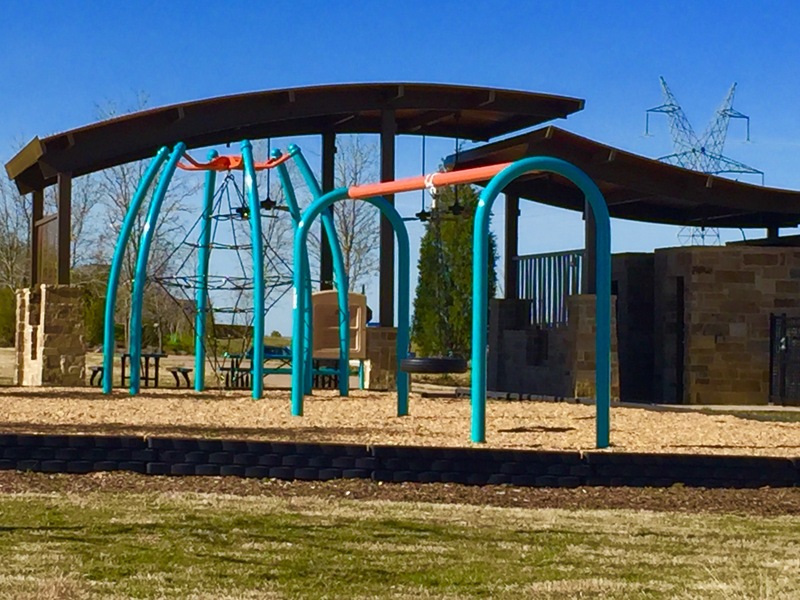 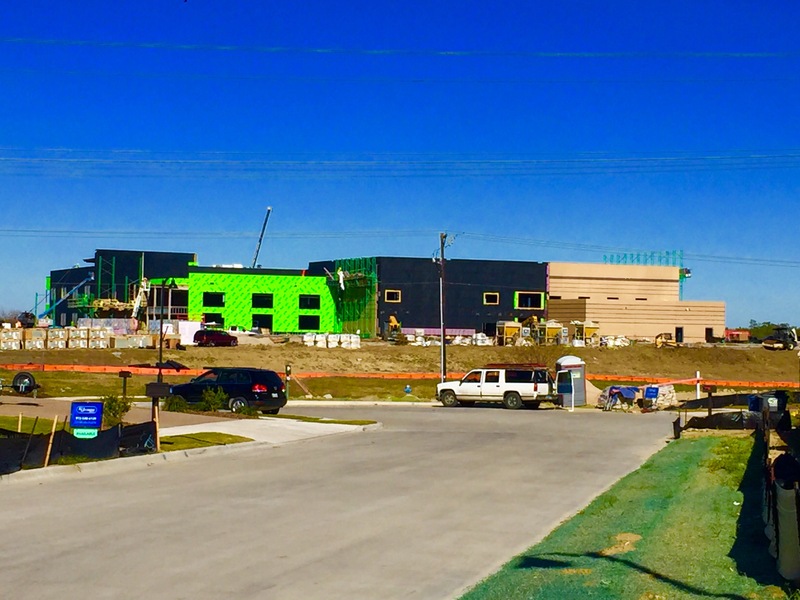 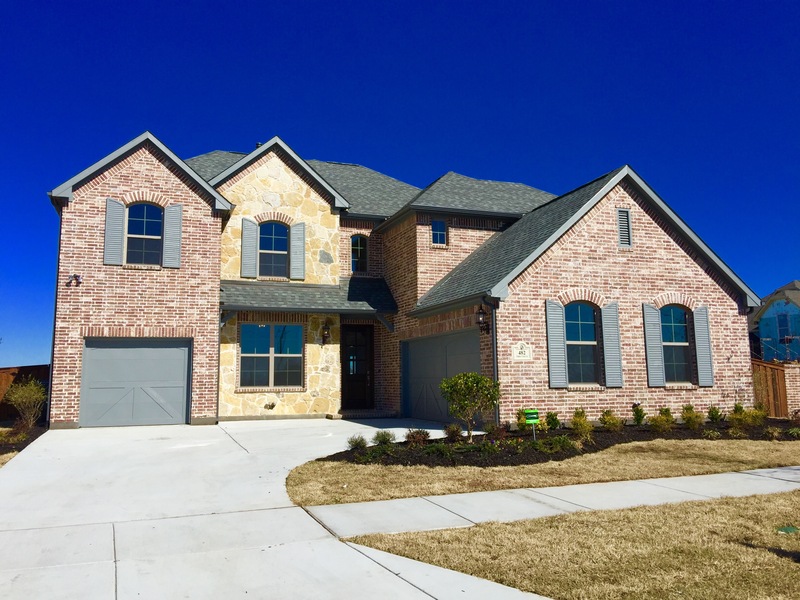 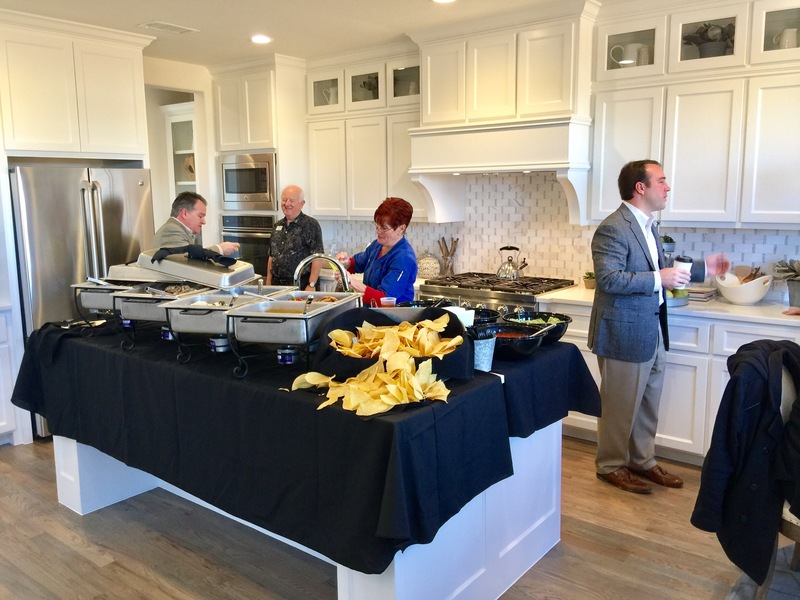 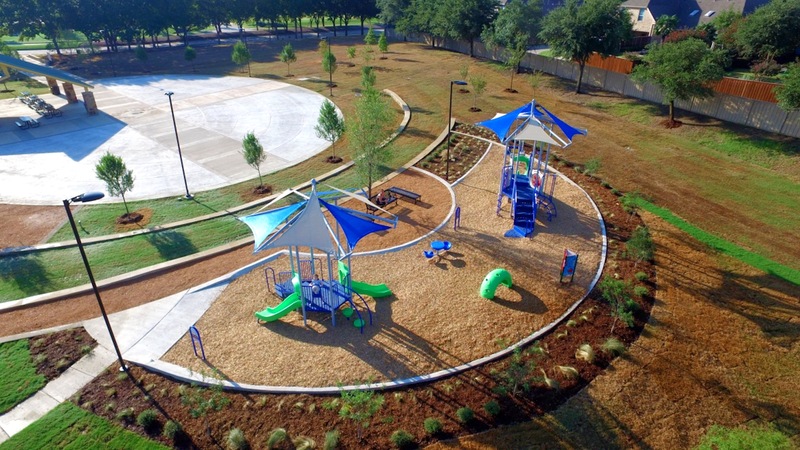 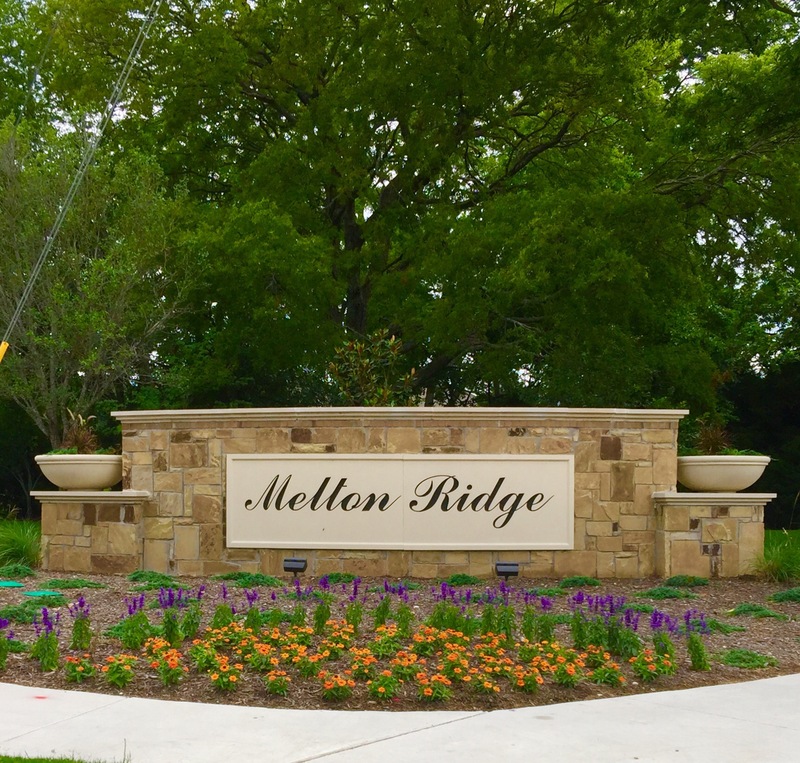 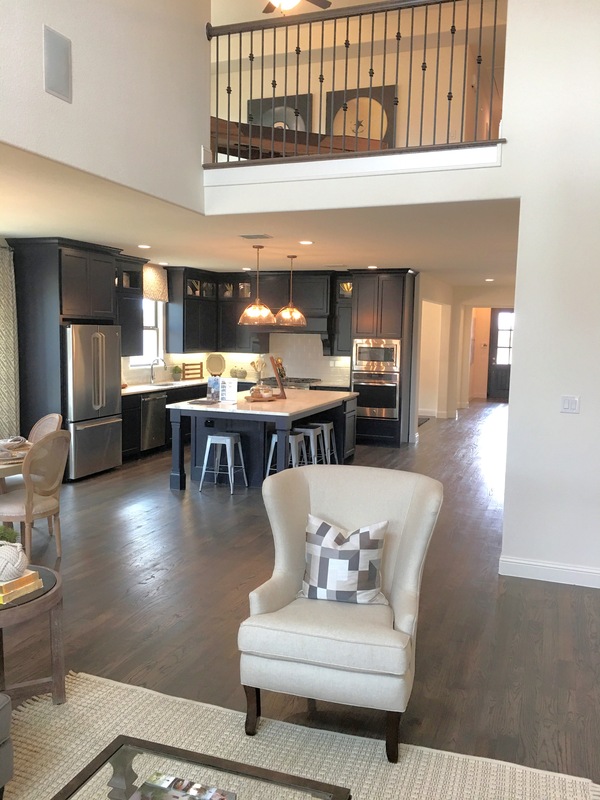 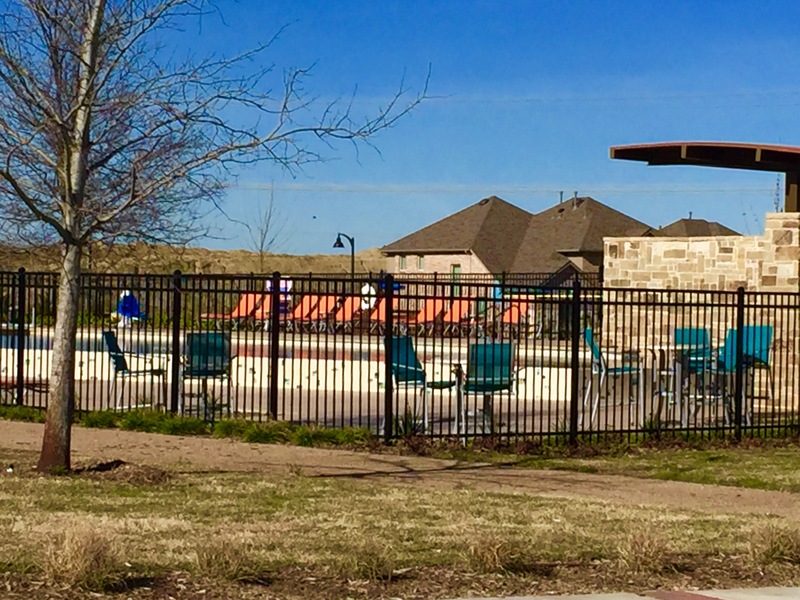 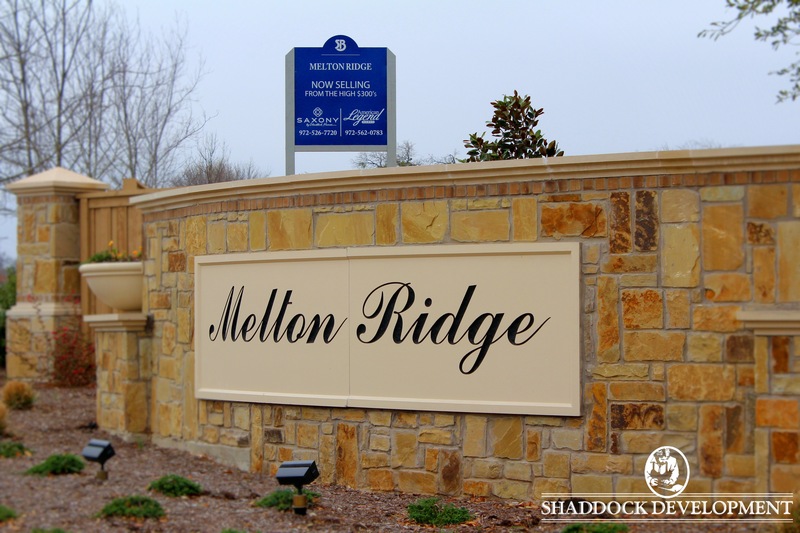 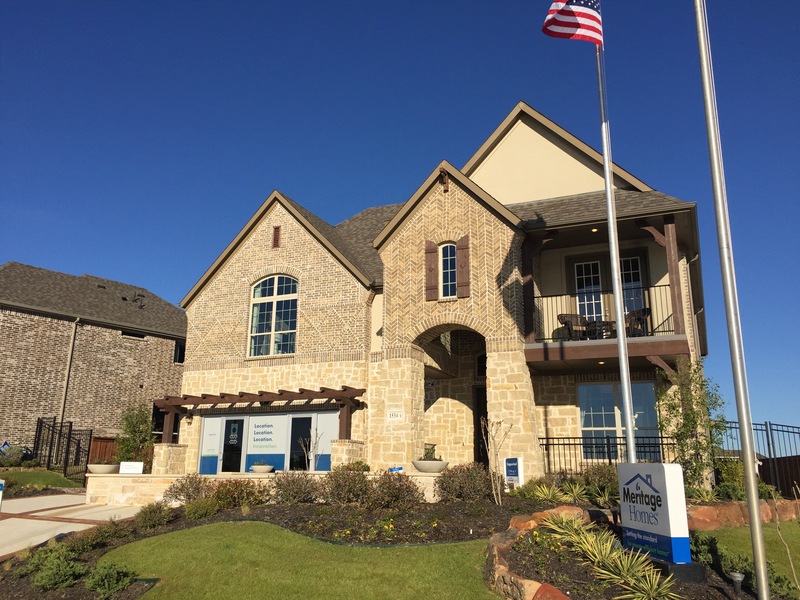 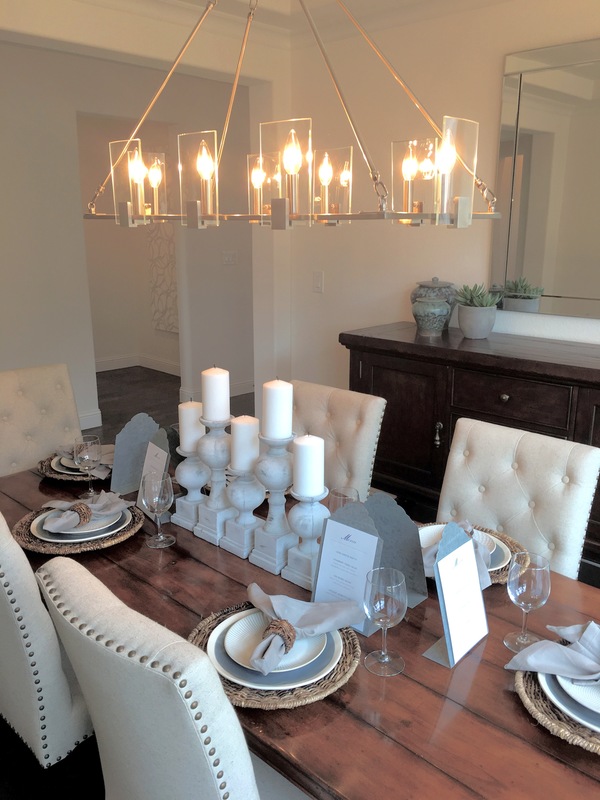 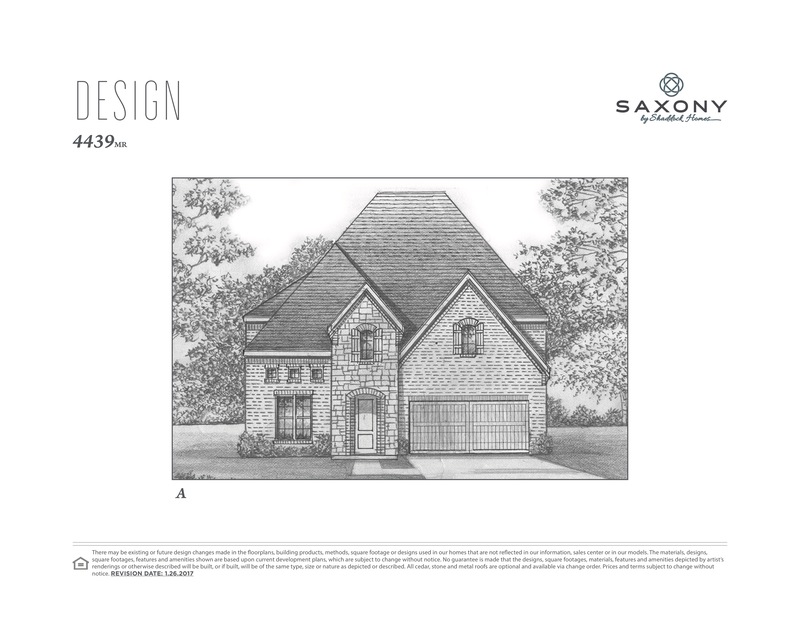 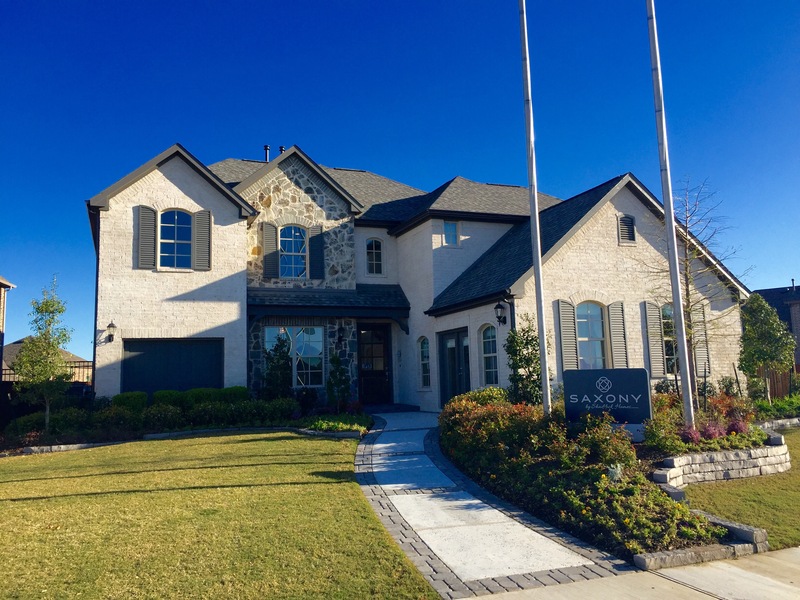 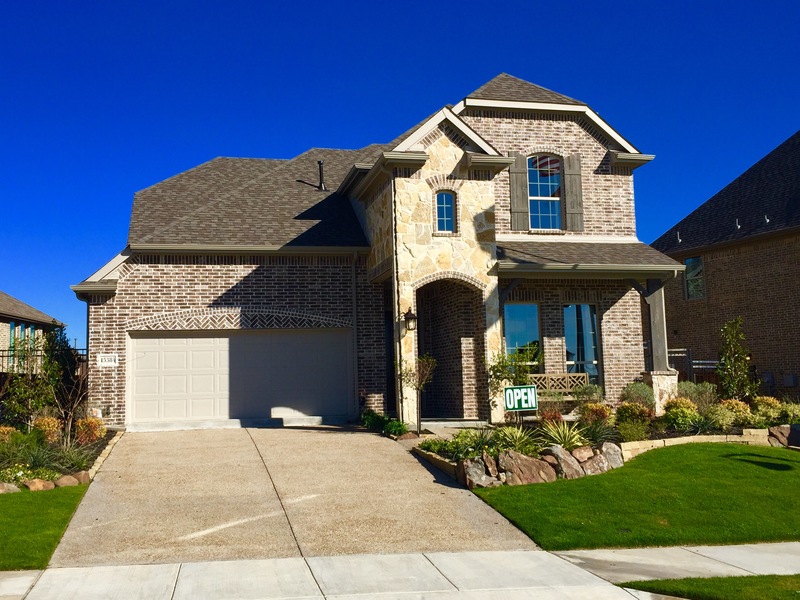 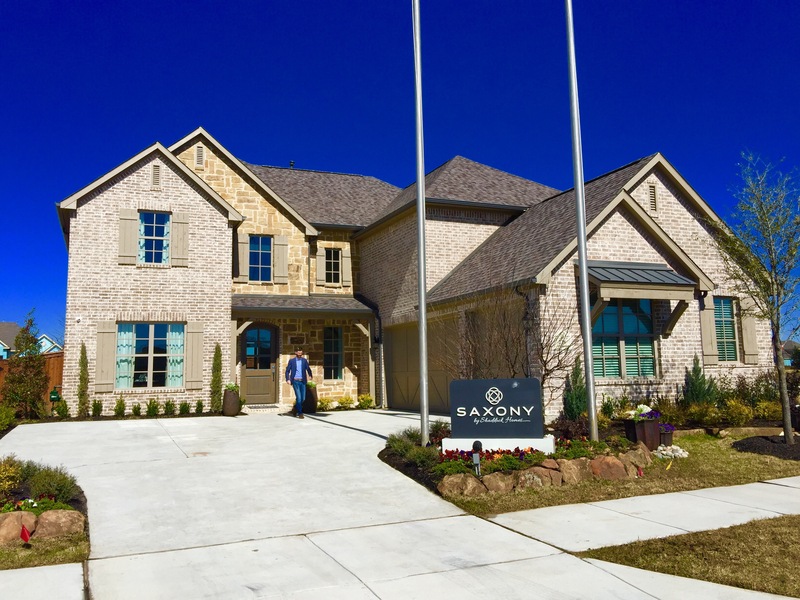 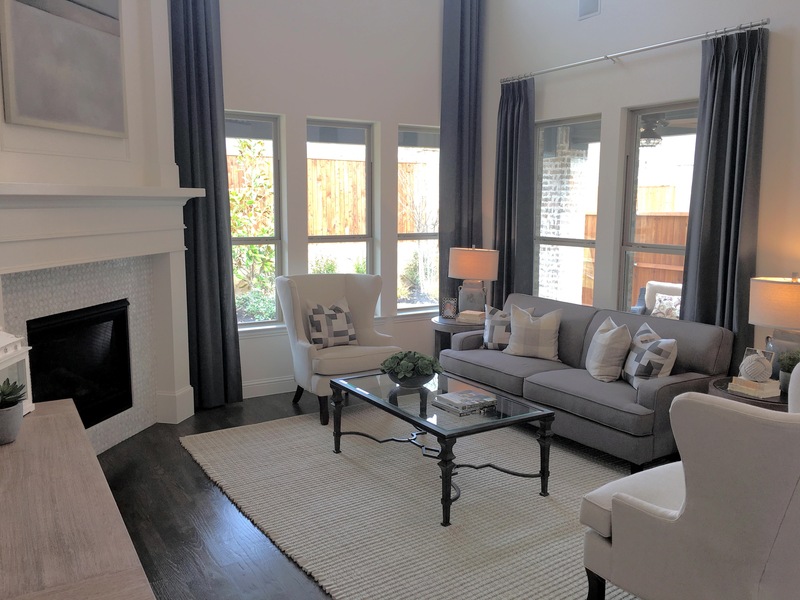 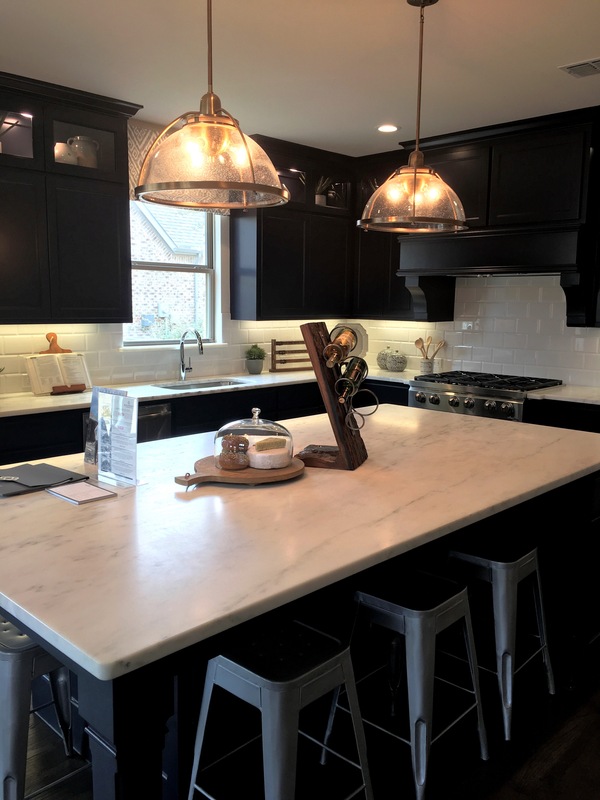 Located right on the border of Wylie, Inspiration is a new community in St Paul, Texas situated on 593 acres adjacent to the historic town of St Paul. 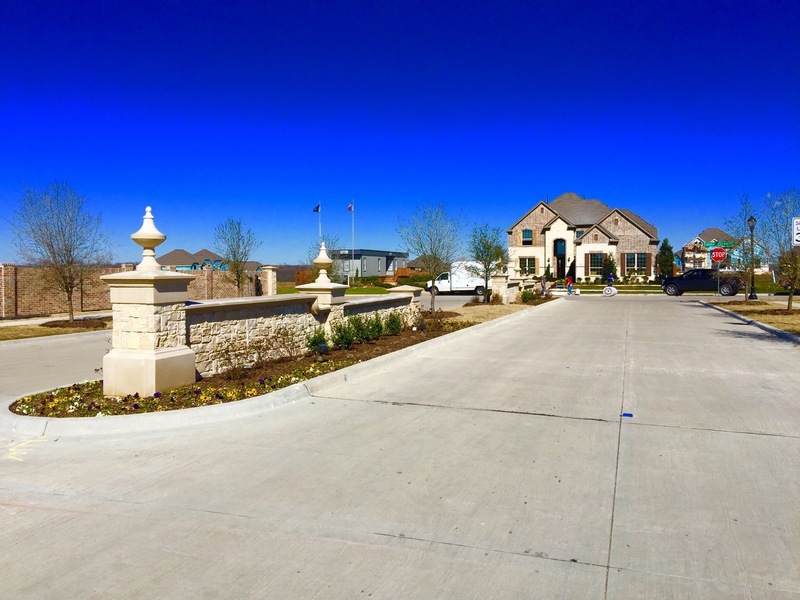 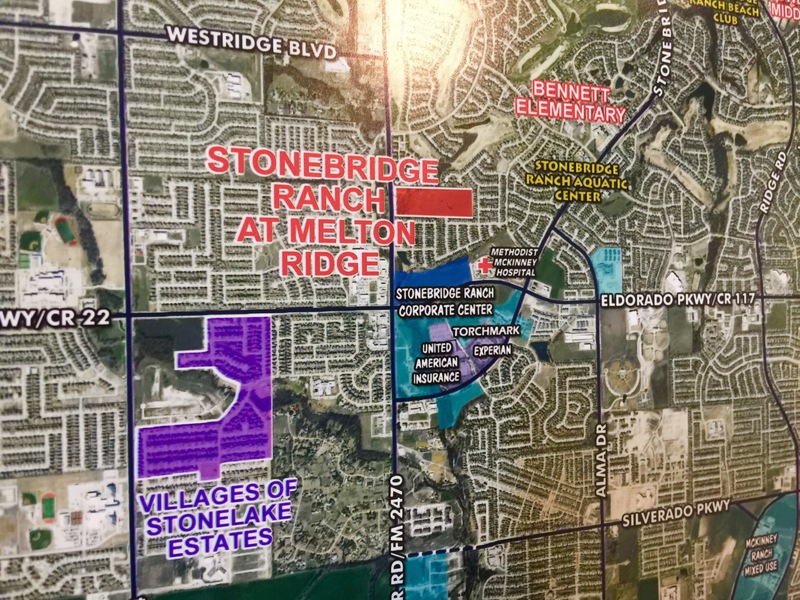 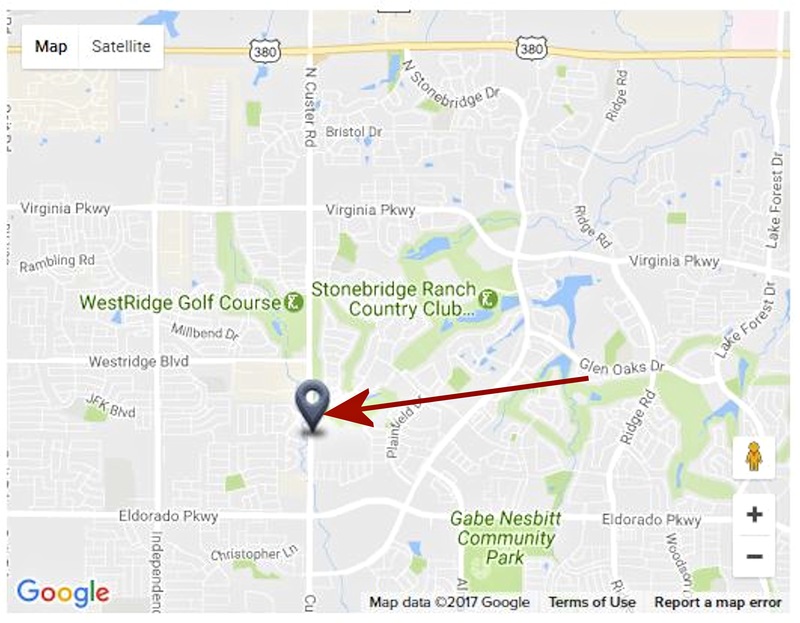 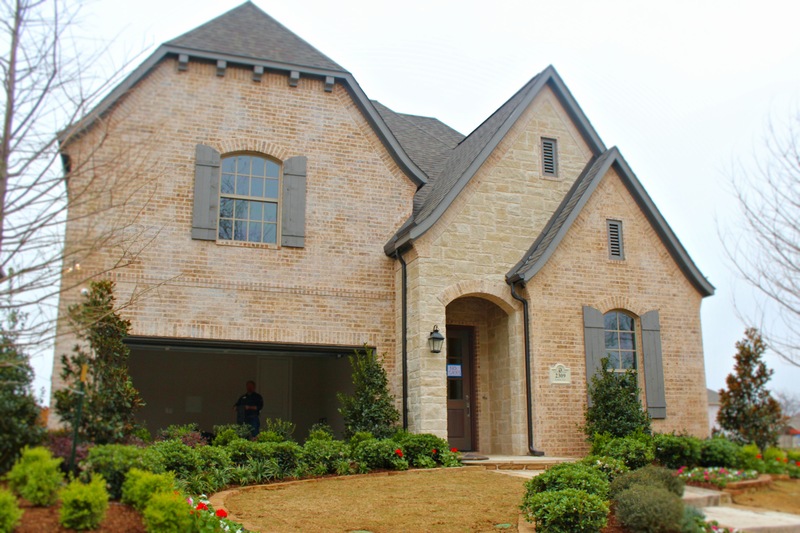 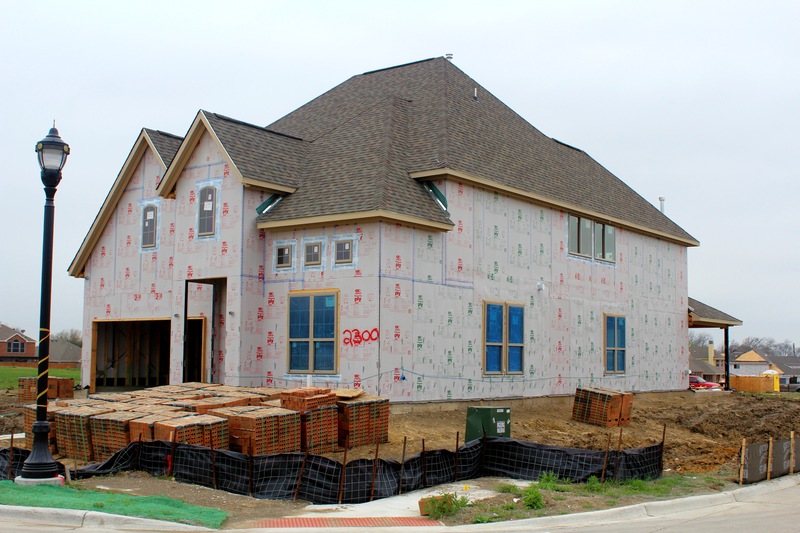 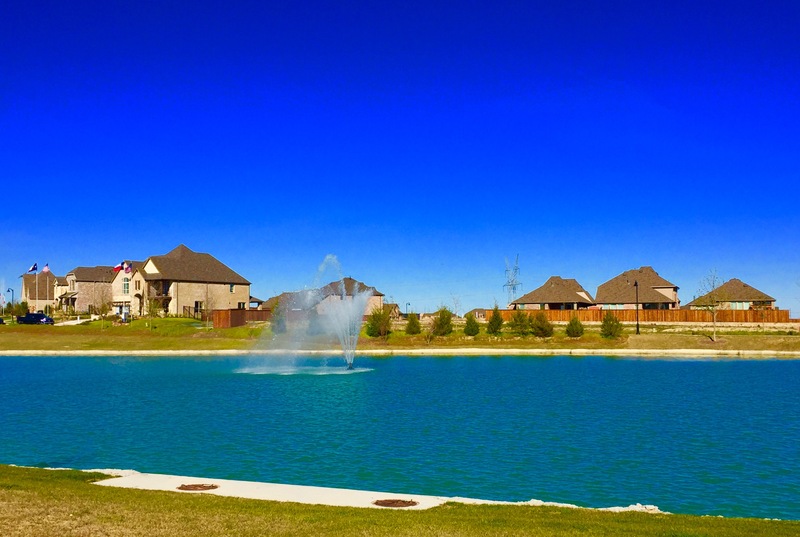 There is also a 32 mile hike and bike trail around Lake Lavon which will be easily accessed by Inspiration home owners! 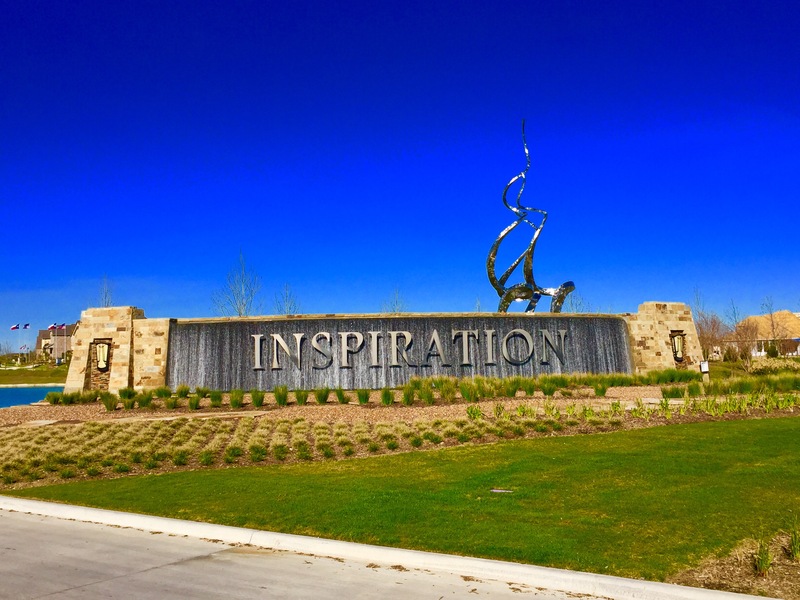 Inspiration truly might have the most beautiful drive up with an entry, waterfall sign that at night has laser beams shooting out of it! 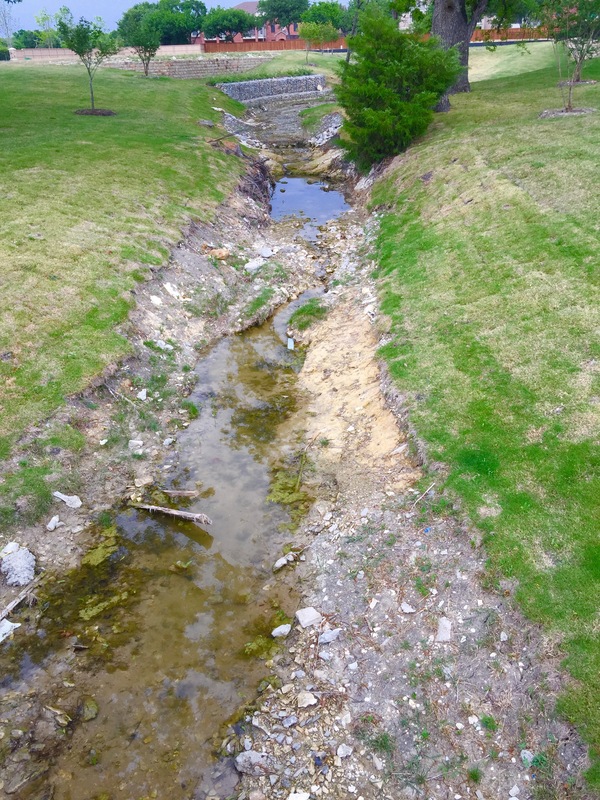 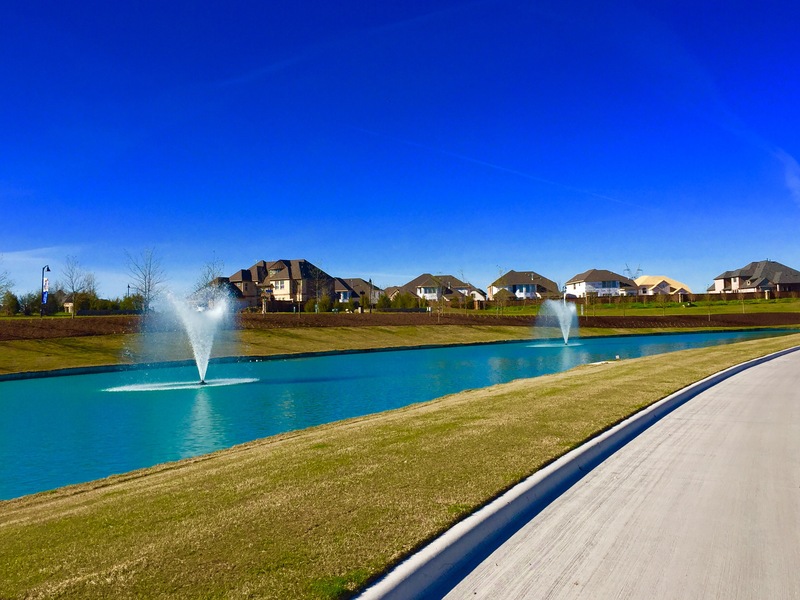 And the two large ponds with a beautiful greenish blue water also help differentiate this development from any other in the North DFW area. 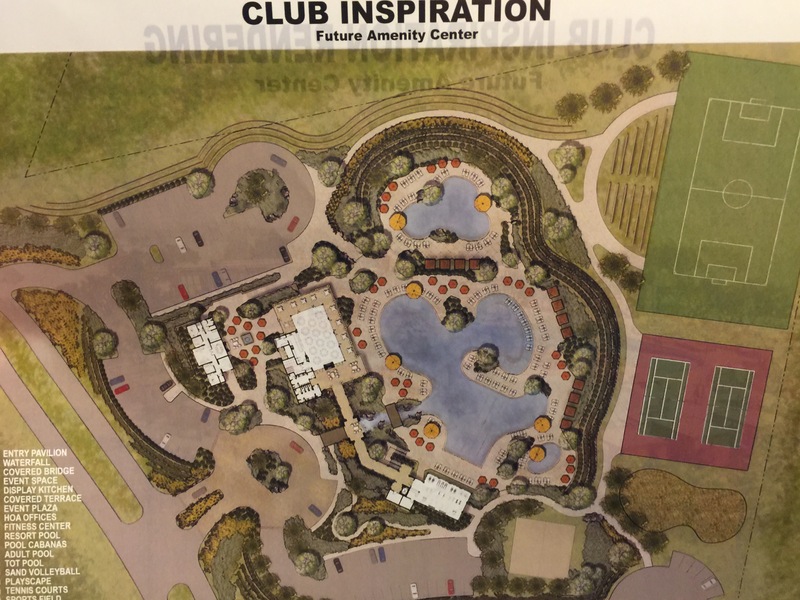 Inspiration plans to have a 10,000 square foot resort style community center that will feature multiple pools, a bath house, outdoor pavilion, playground and open play fields. 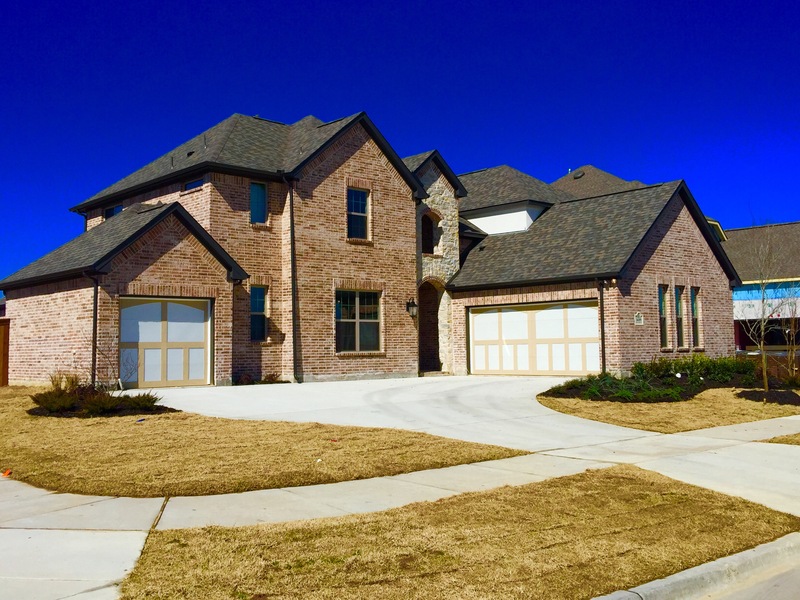 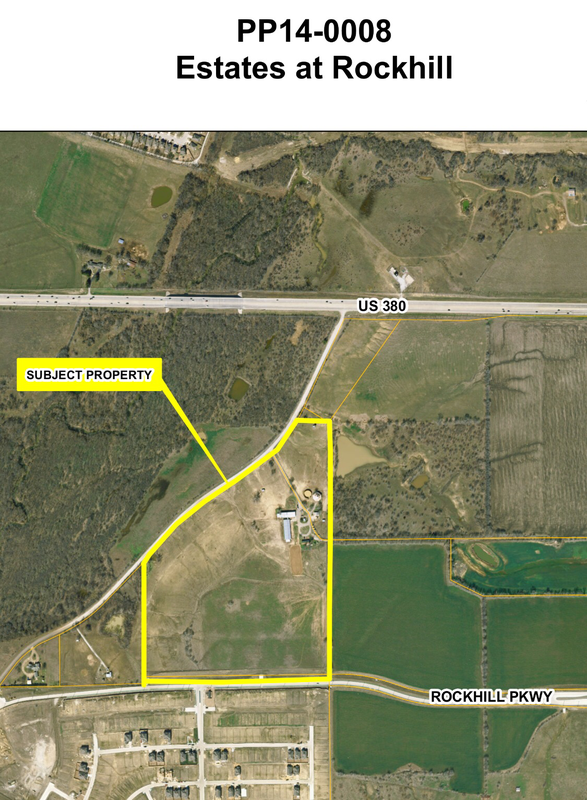 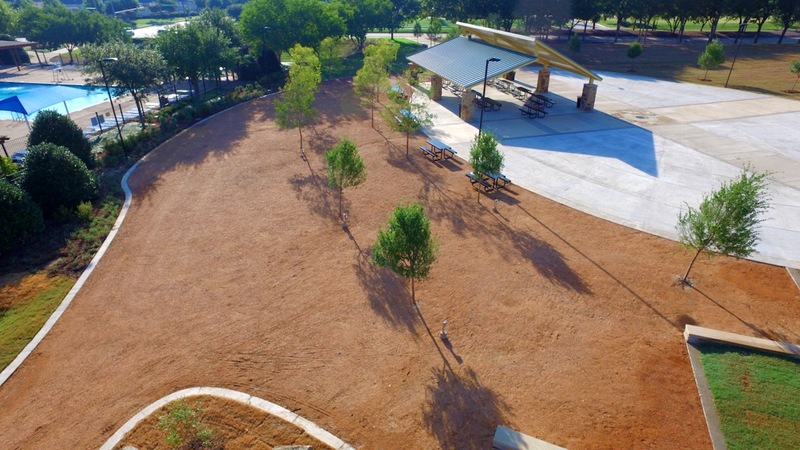 It is planned only 300 feet from Lake Lavon to capture beautiful Lake Views! 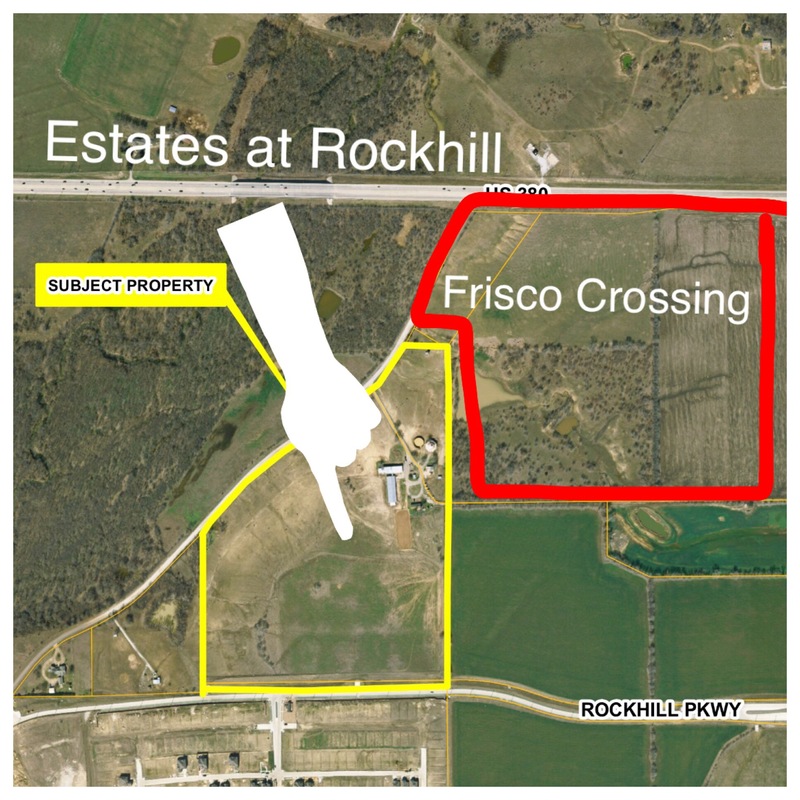 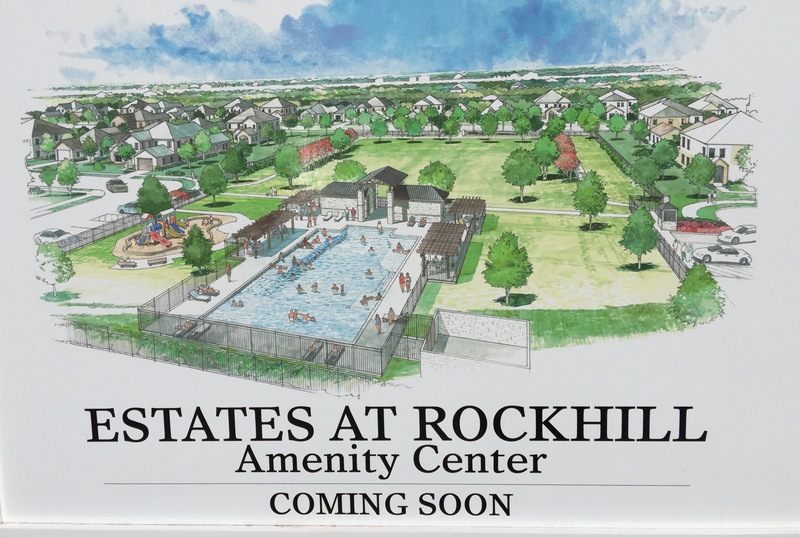 In a way, it looks like they plan to incorporate a lot of Windsong Ranch look with the buildings and blow Richwoods out of the water with the size of that Pool! 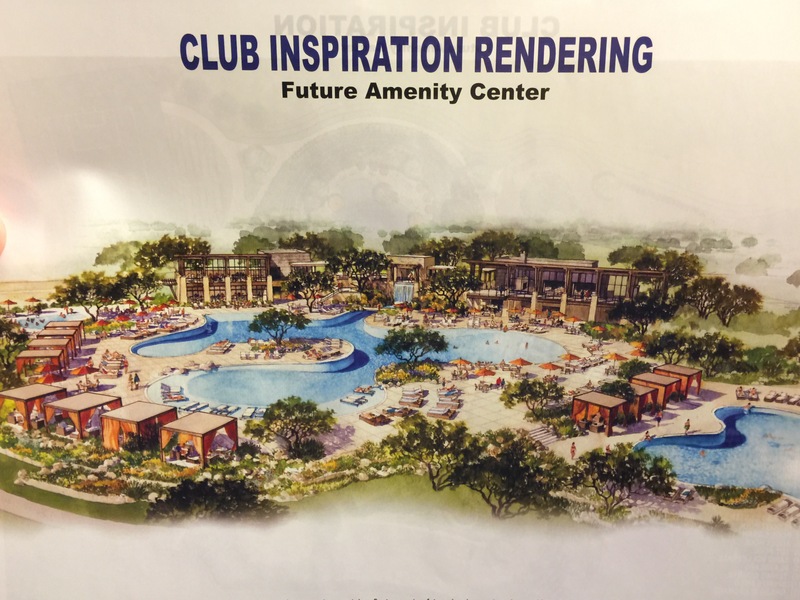 I am also told there will be multiple pools throughout Inspiration. 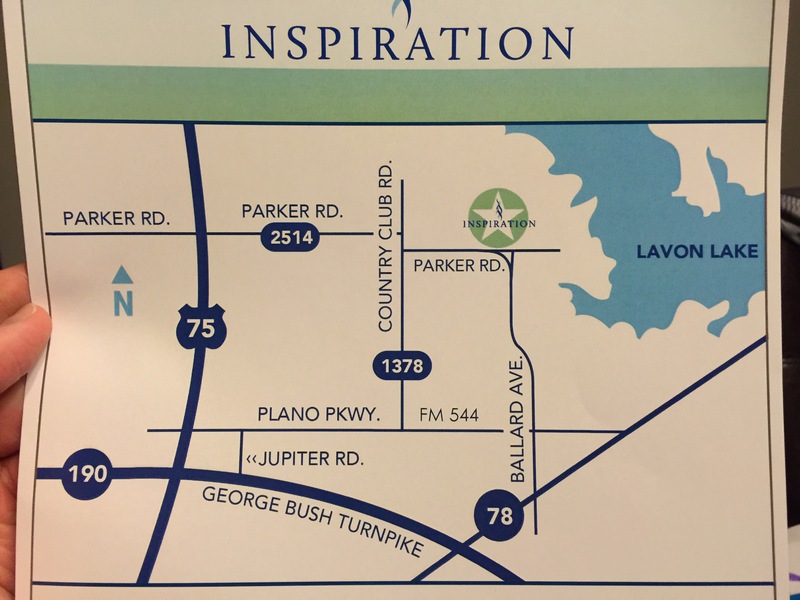 Currently Inspiration will be at Akin Elementary, Bill F. David Intermediate, McMillan Junior High and Wylie East High School. 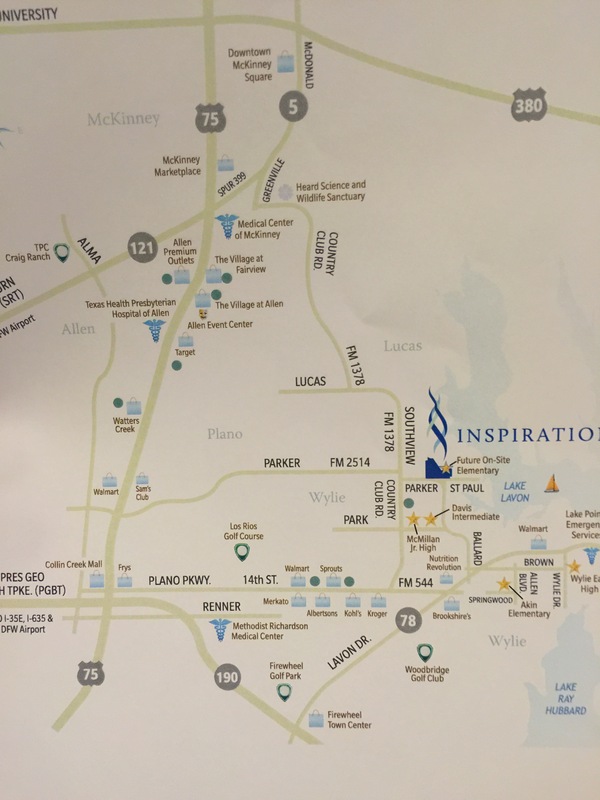 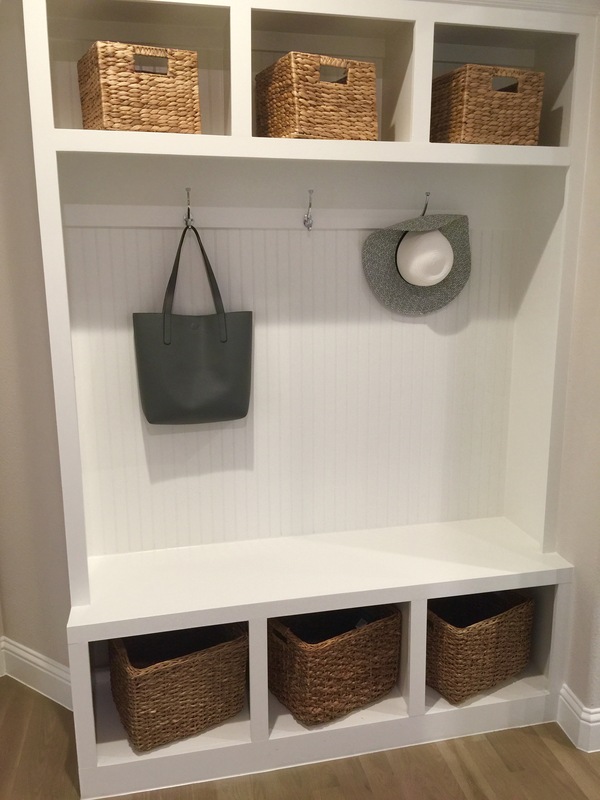 Current plans for Inspiration is a buildout of 1,400 homes. 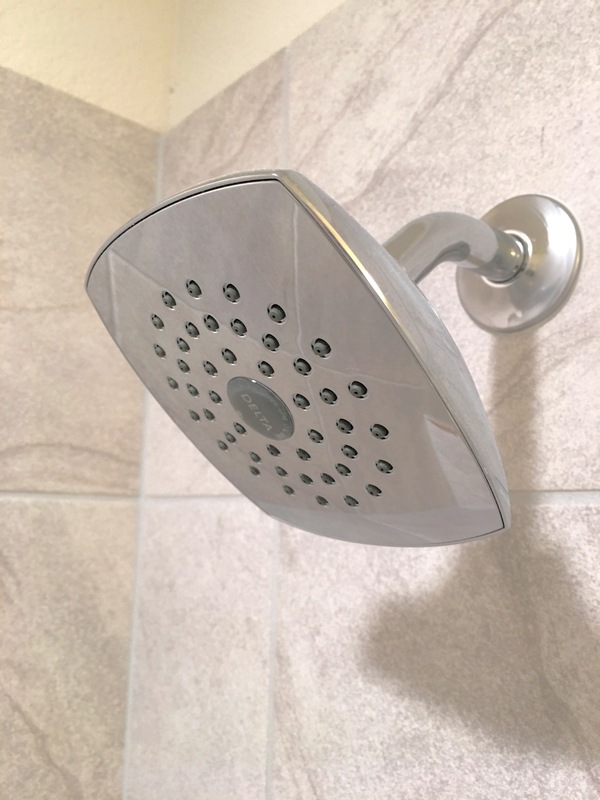 That’s VERY big! 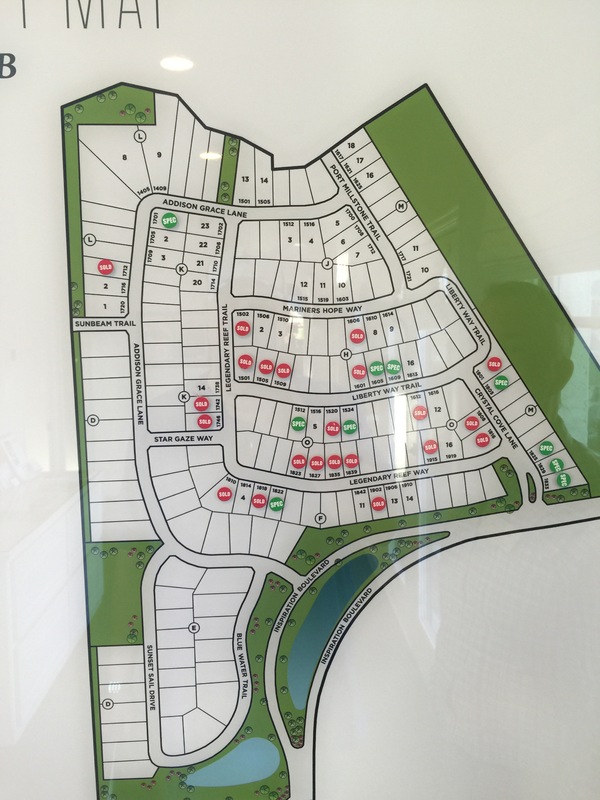 Currently, they are in Phase 1 but towards the end of available lots! 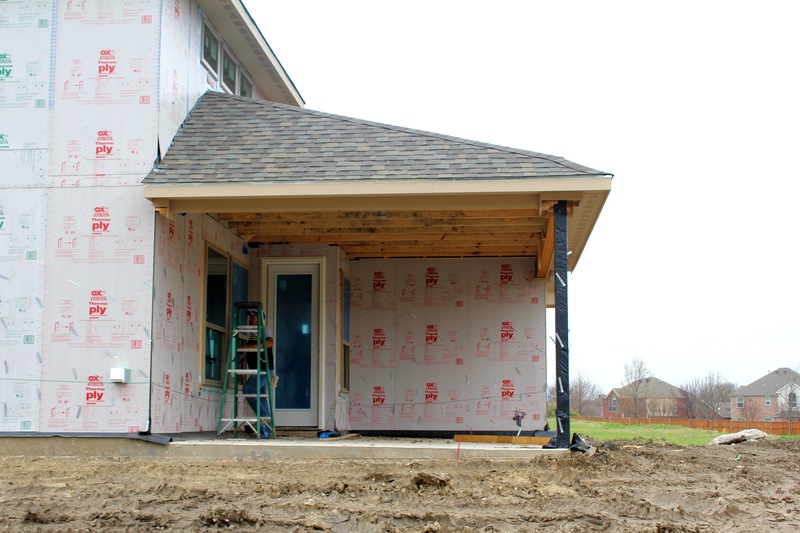 Here’s a very important part, THE BUILDERS! 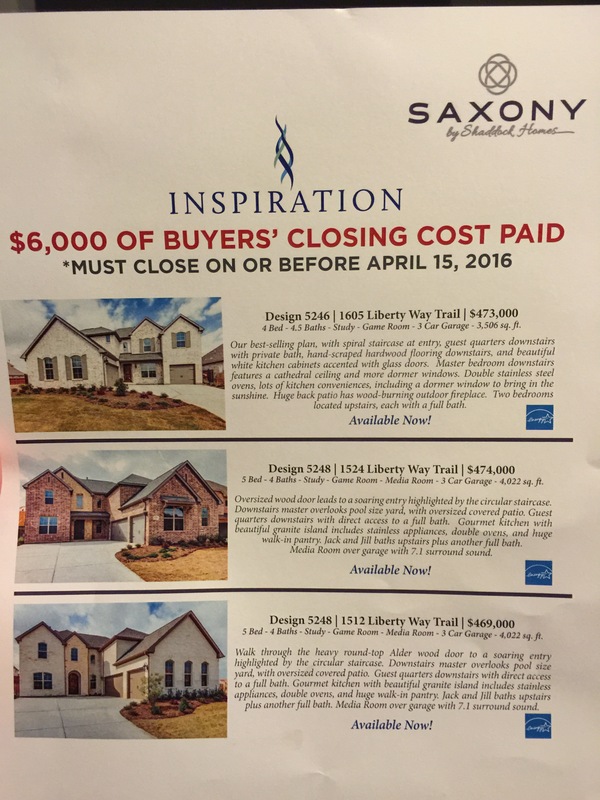 I am pretty impressed with the line up that Huffines Development put together for Inspiration. 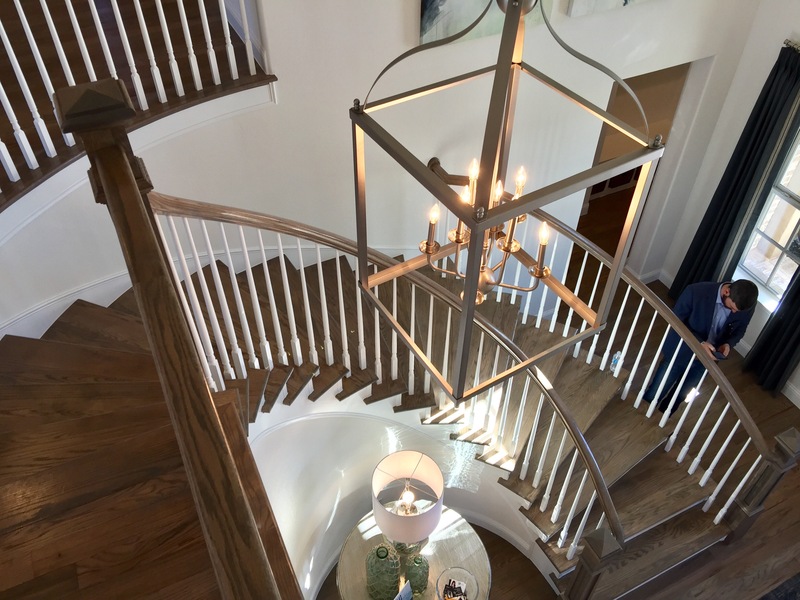 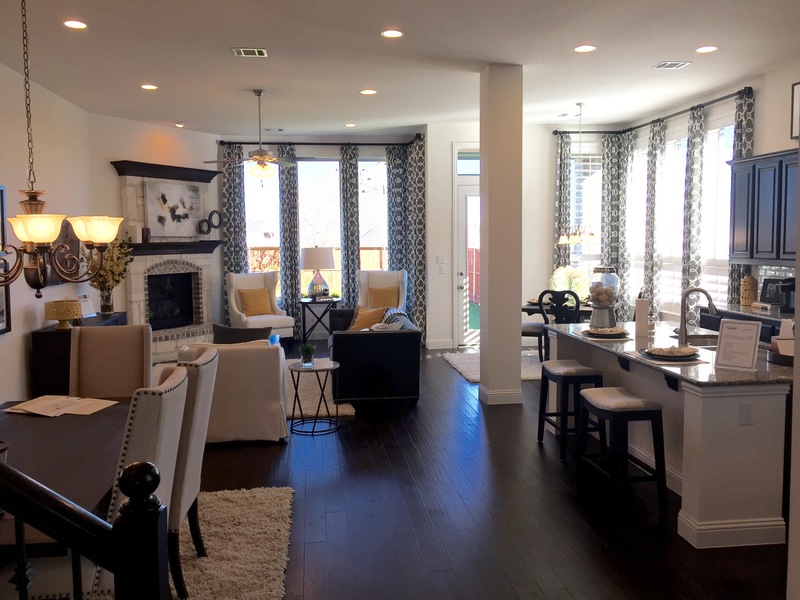 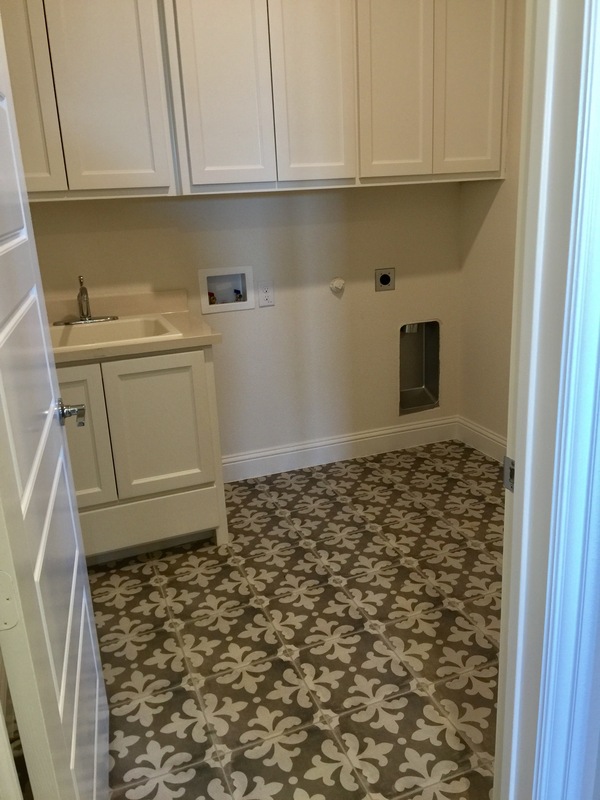 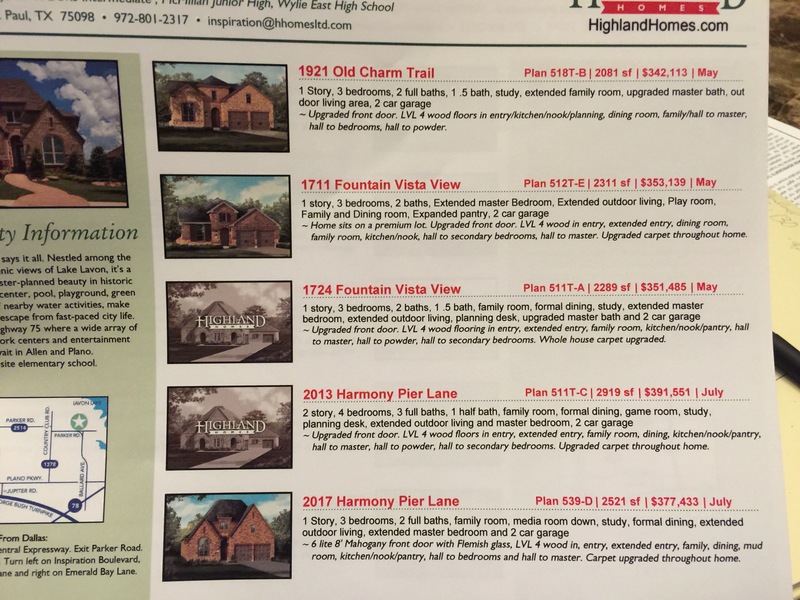 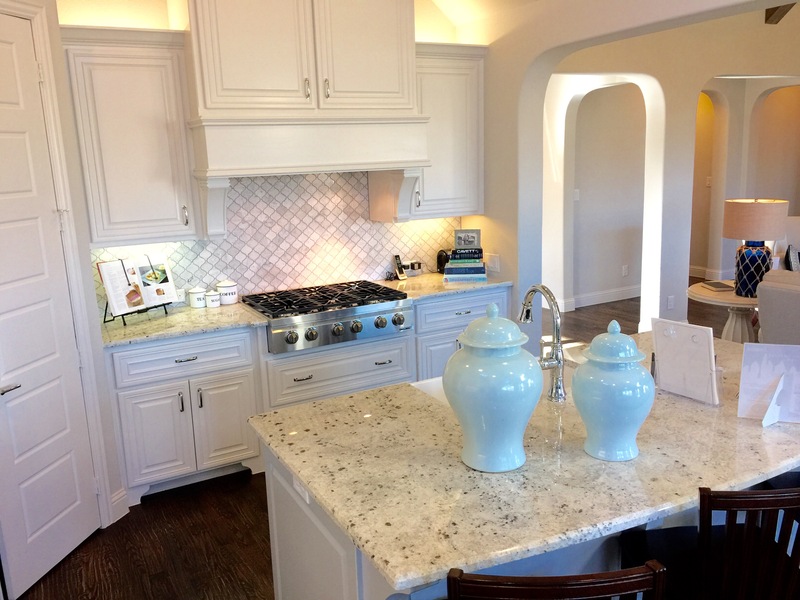 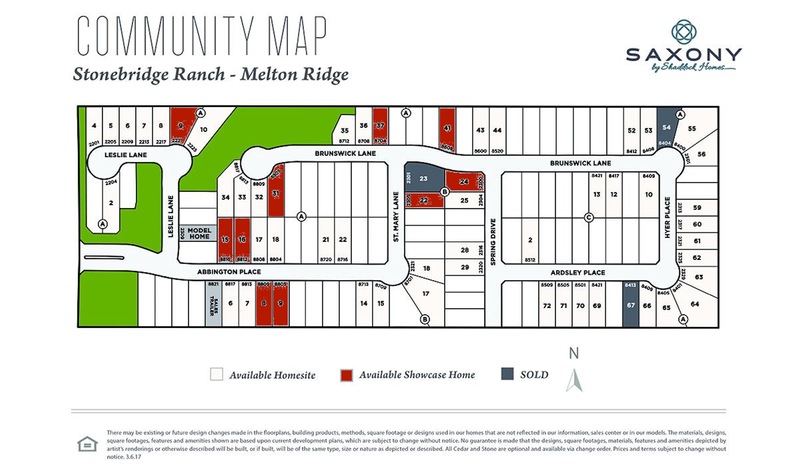 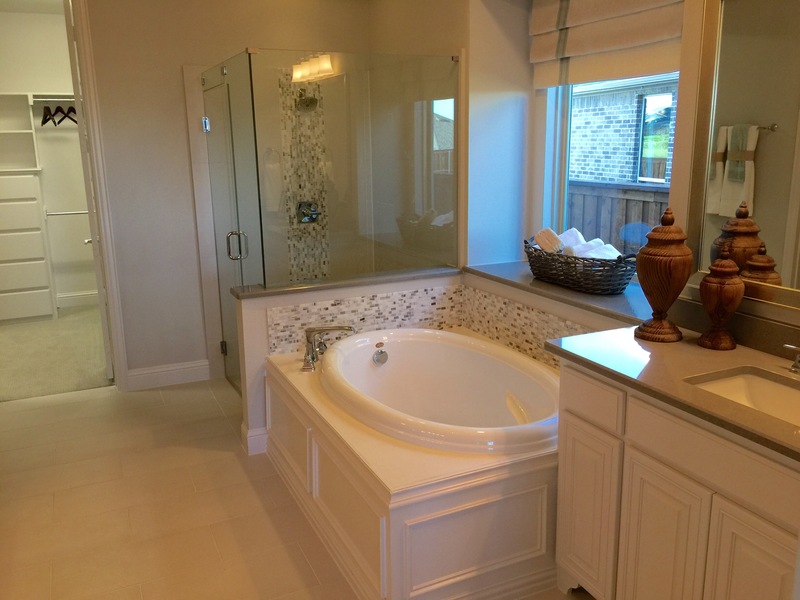 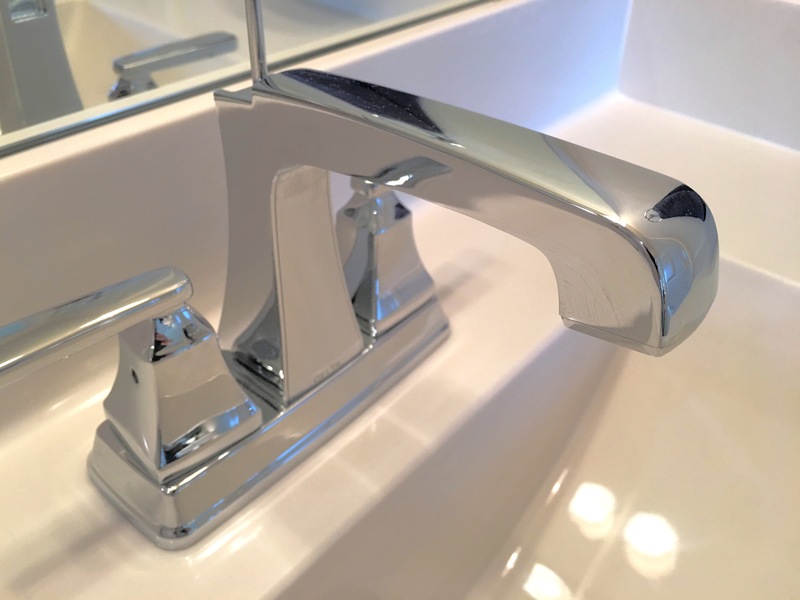 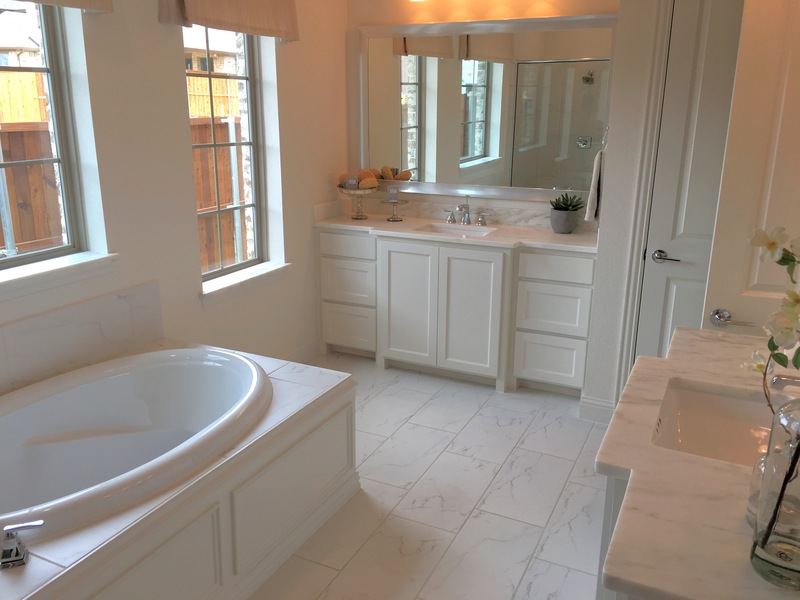 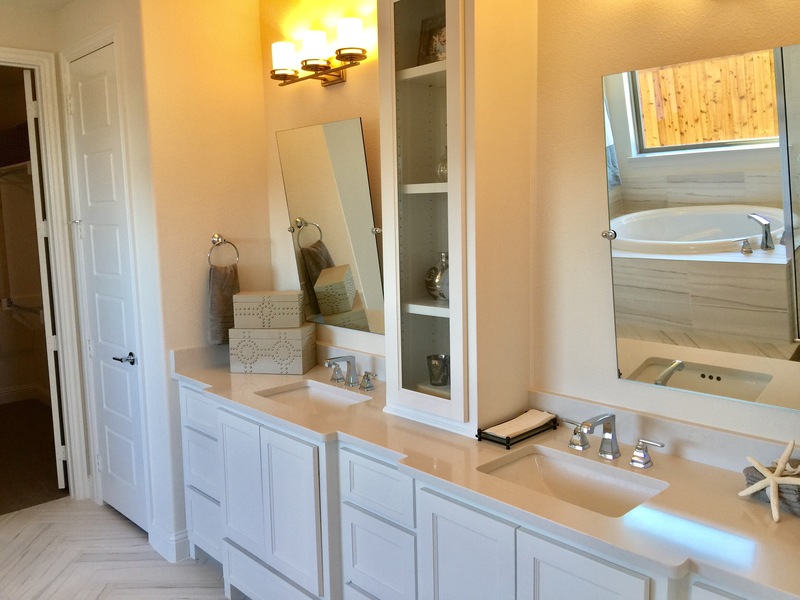 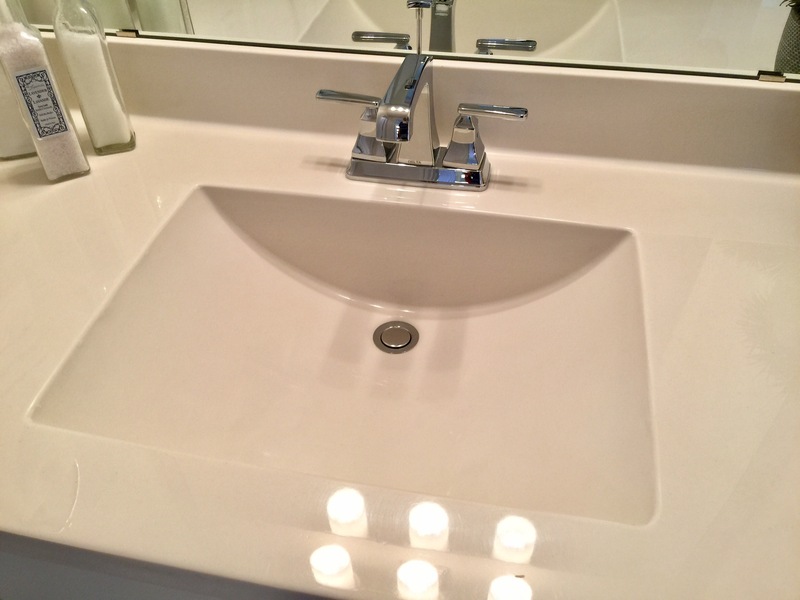 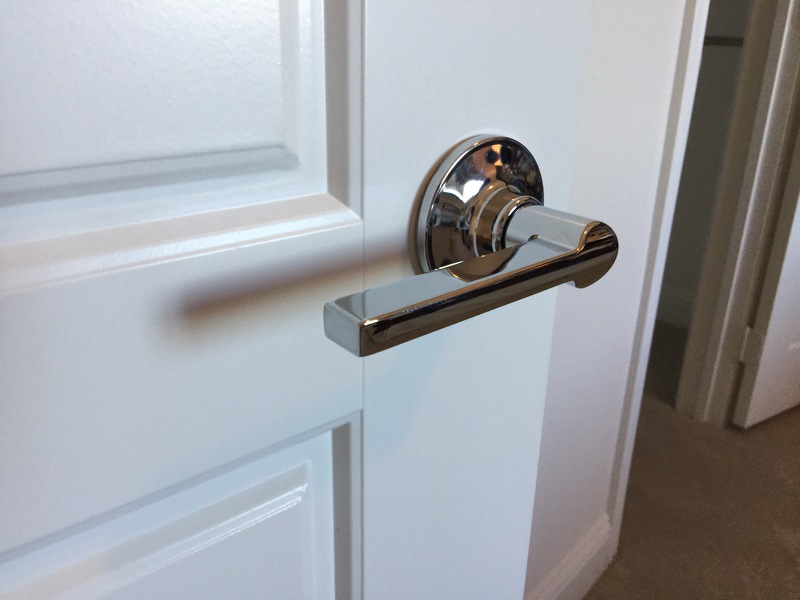 You have some very important builders like K Hovnanian Homes (KHOV), Highland Homes and Meritage Homes in the section with standard lots at 60 wide by 130 deep! 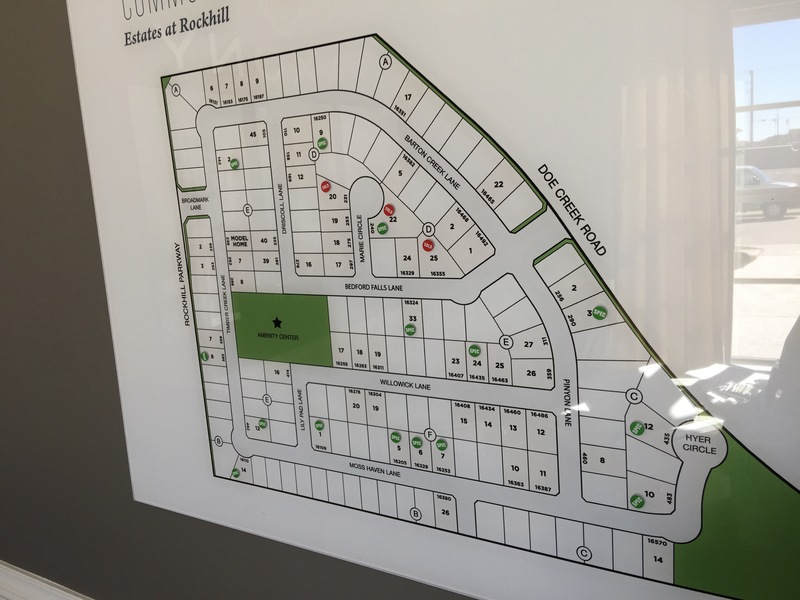 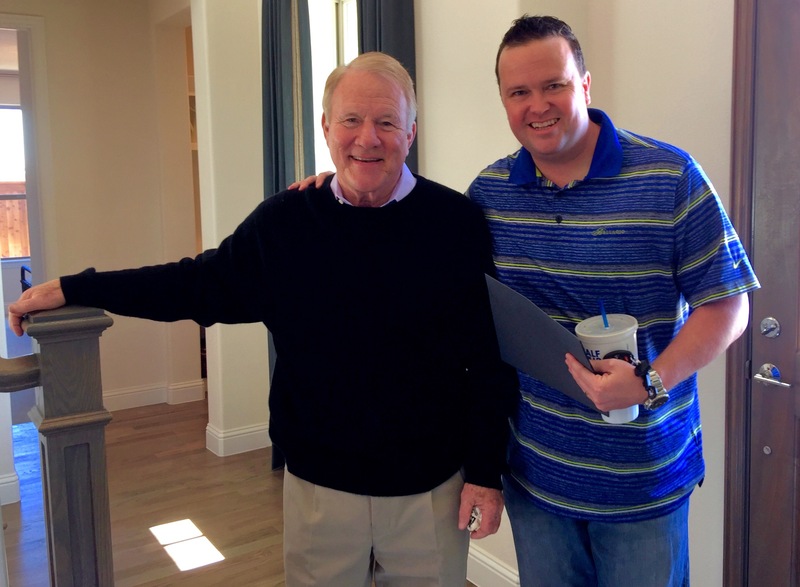 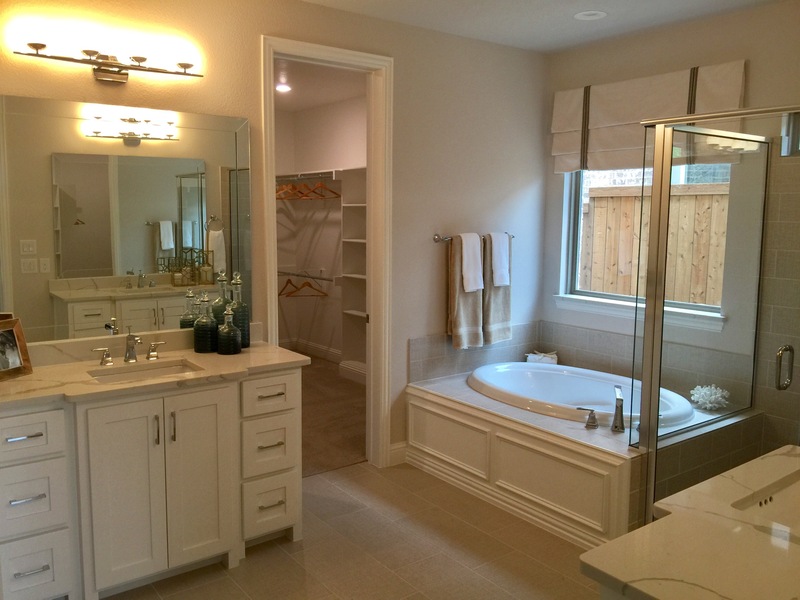 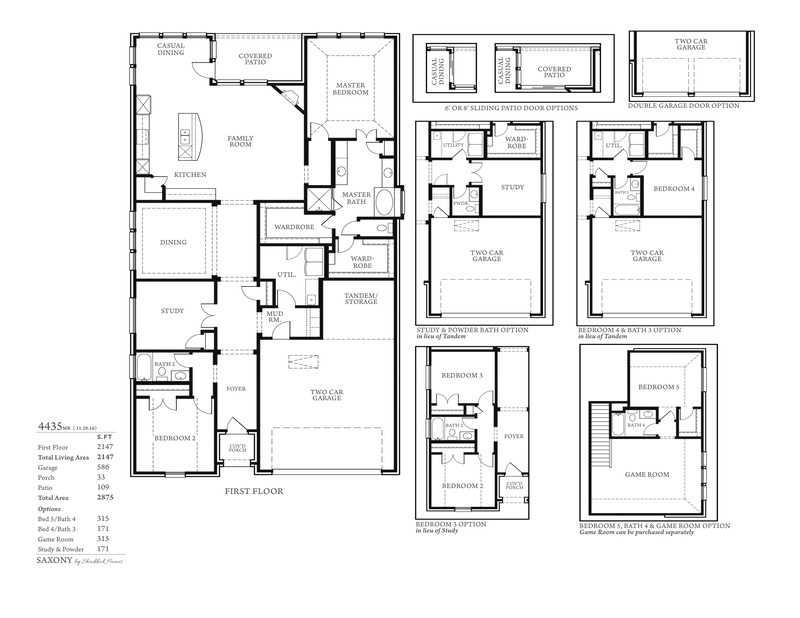 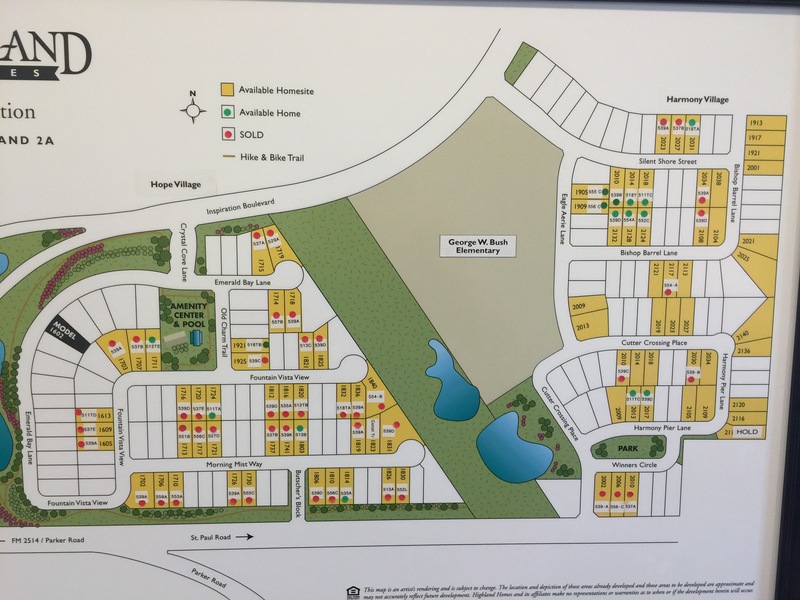 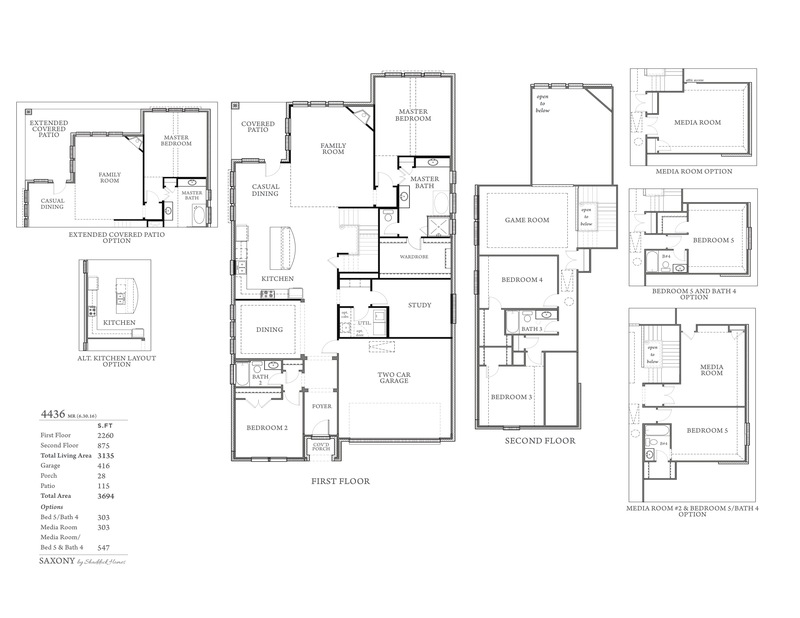 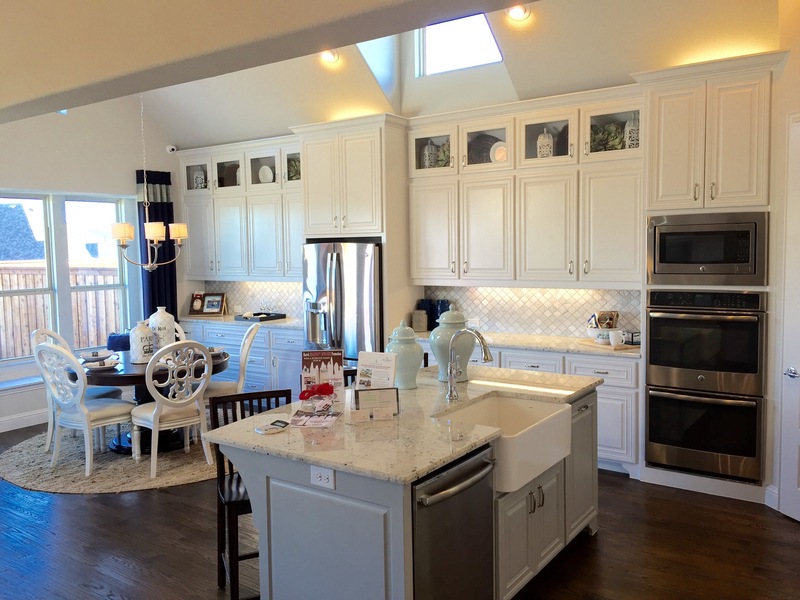 Highland Homes has around 15 spec homes in different stages that plan to be ready in various upcoming months. 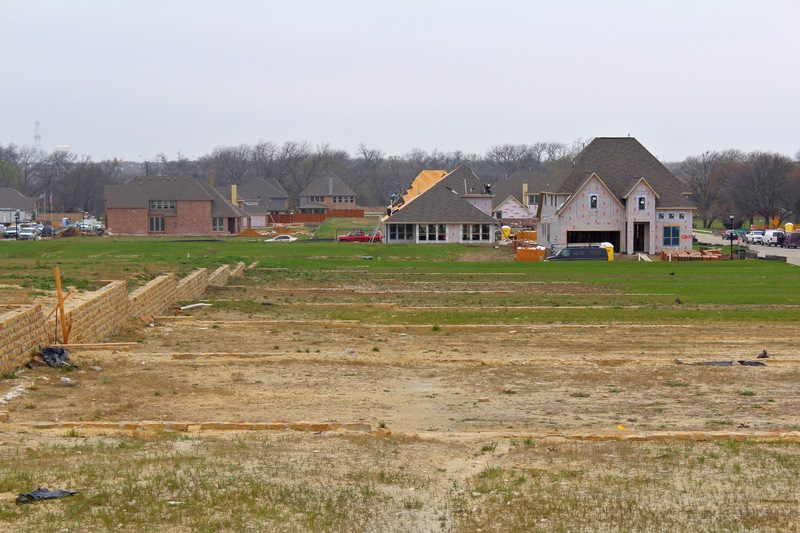 All 3 builders first purchased 40 lots and are almost completely out! 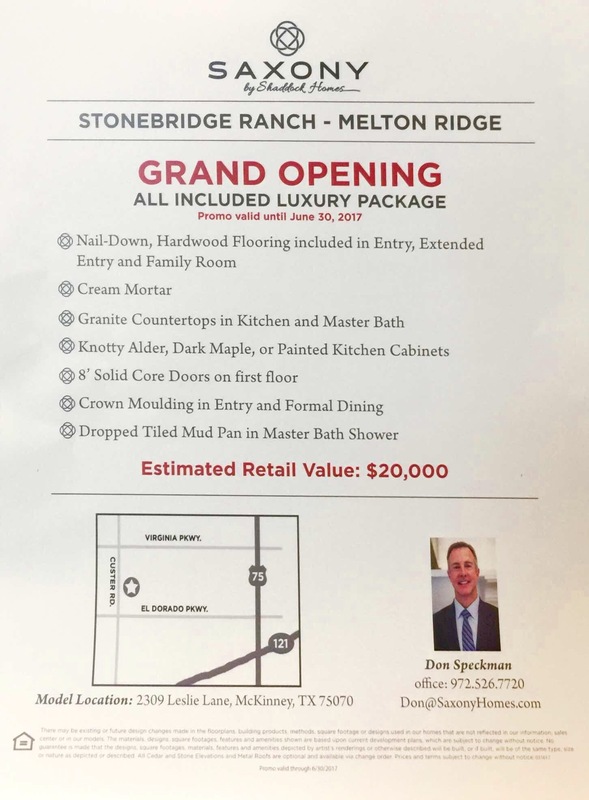 And those are some pretty deep lots for that price point! 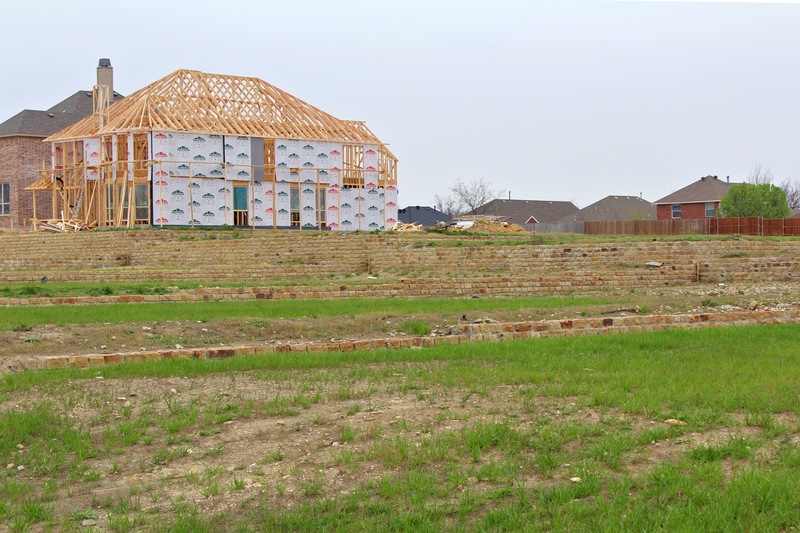 Which means backyards will all be a very nice size! 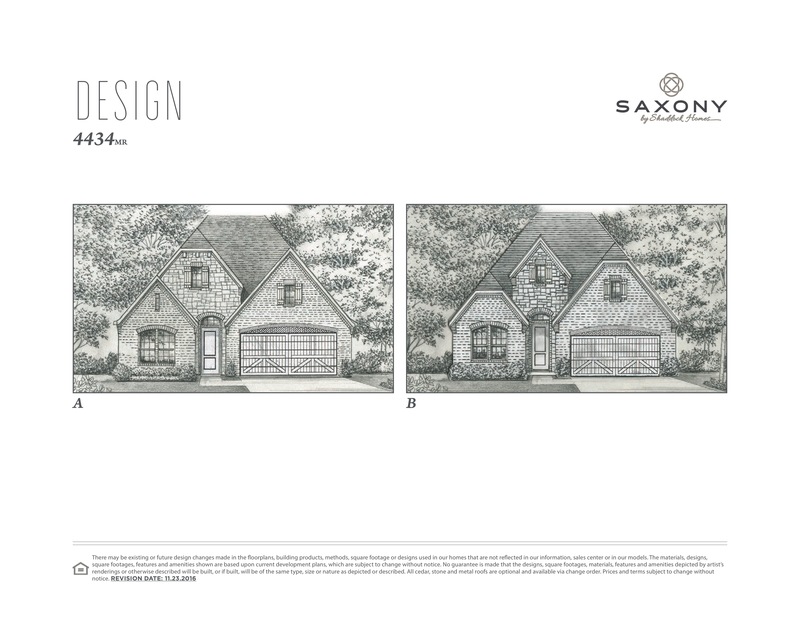 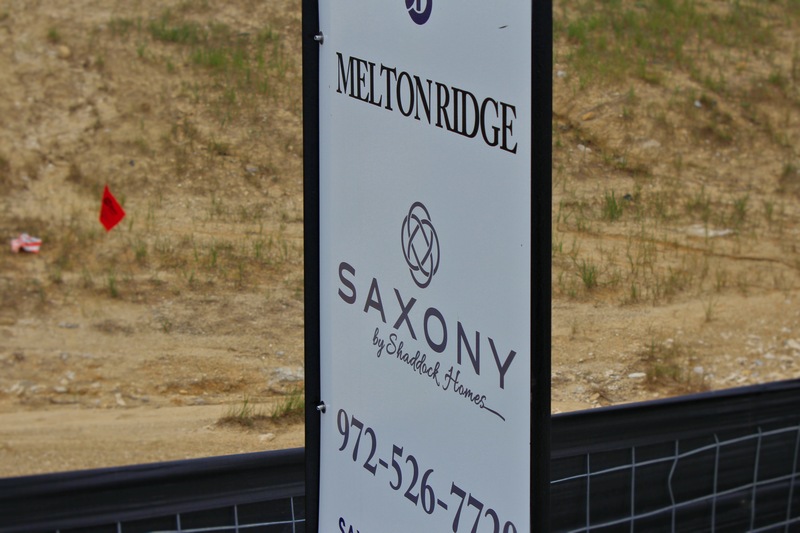 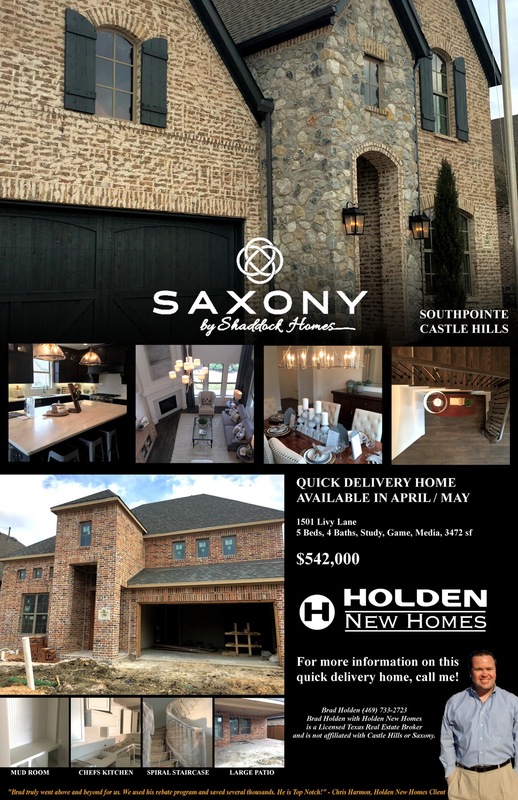 Then on the larger homesites you have Saxony Homes (Basically Shaddock Hones) and a newcomer Mercury Homes. 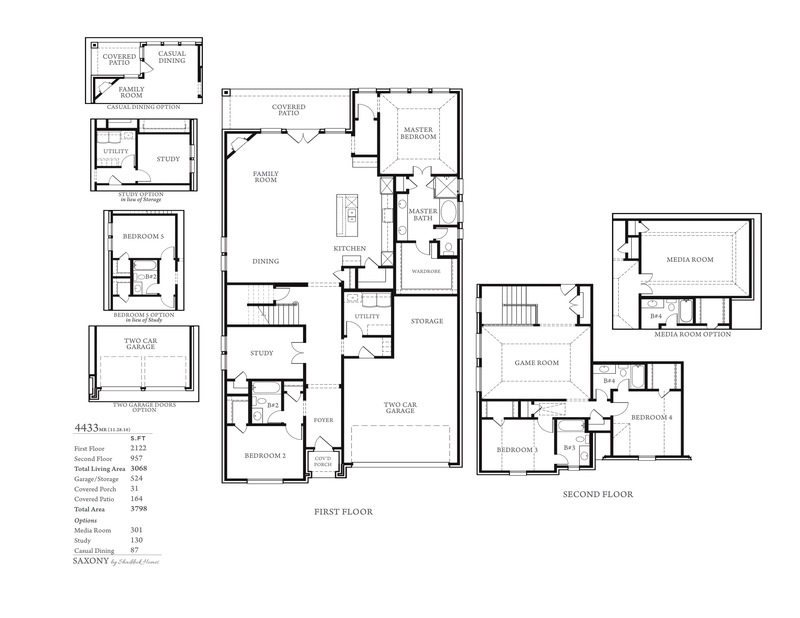 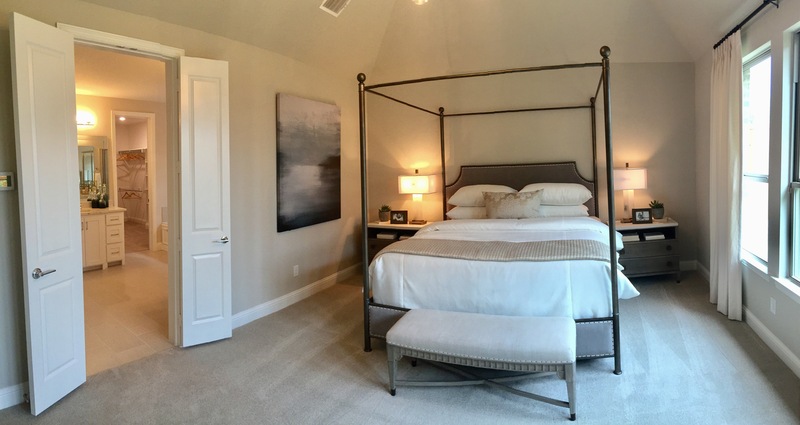 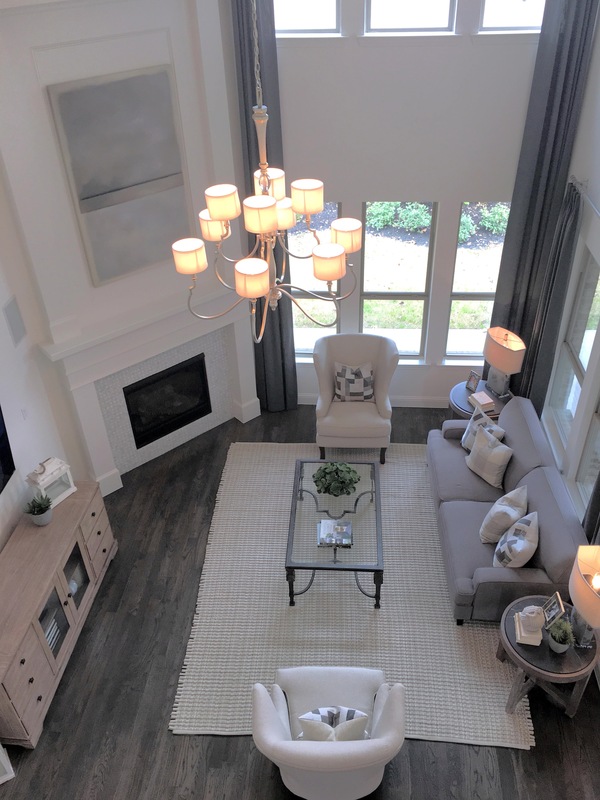 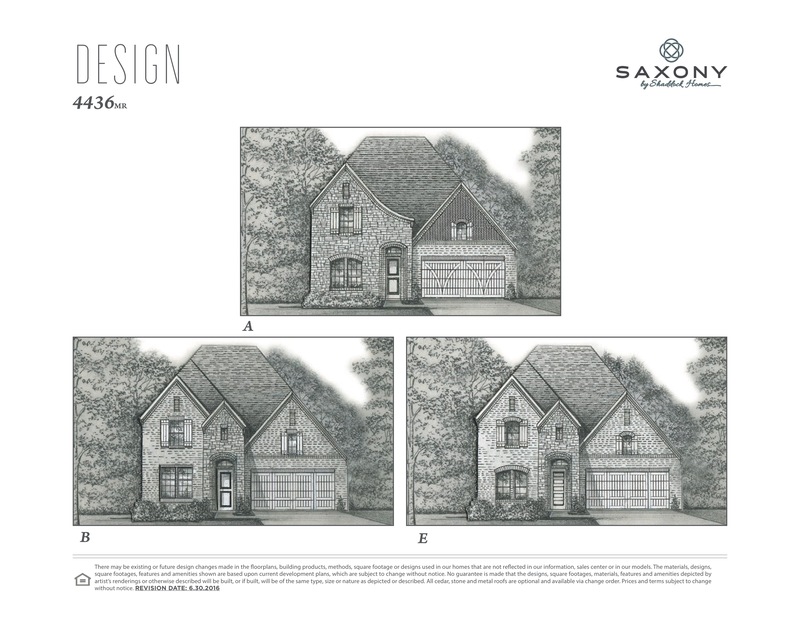 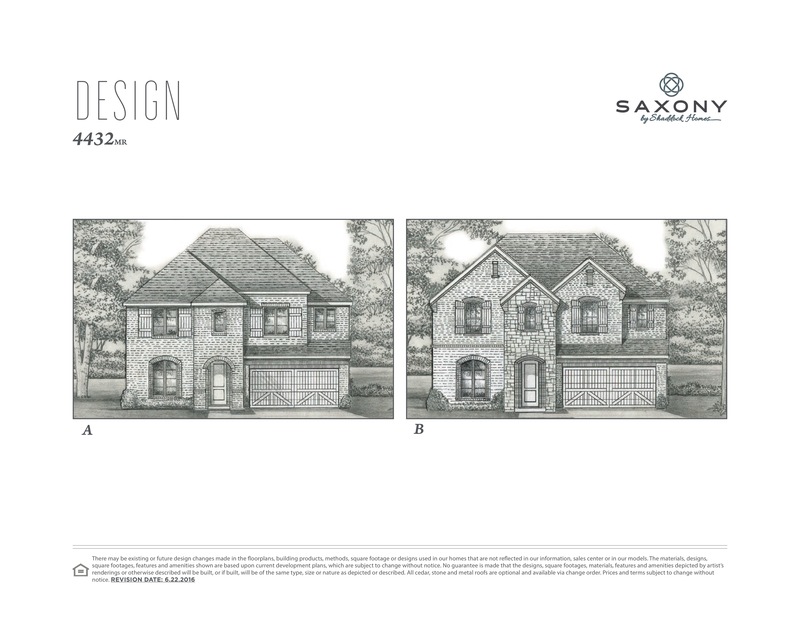 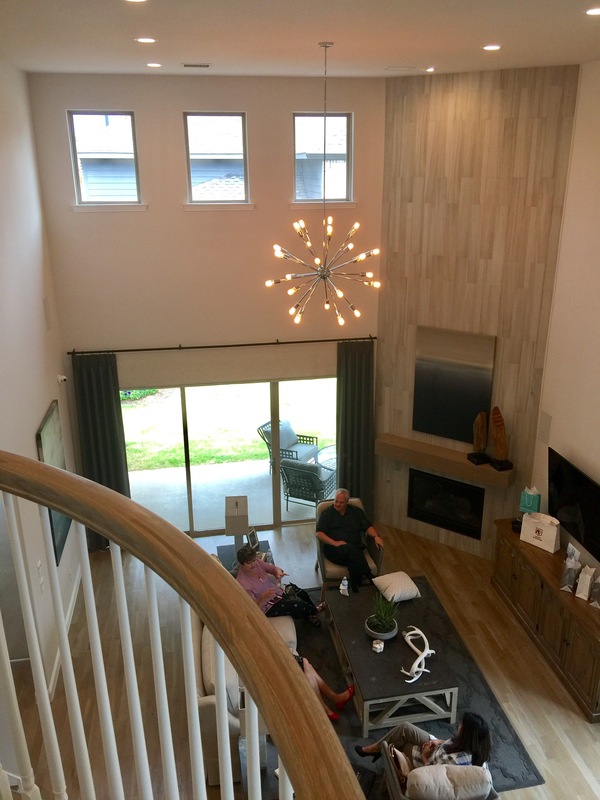 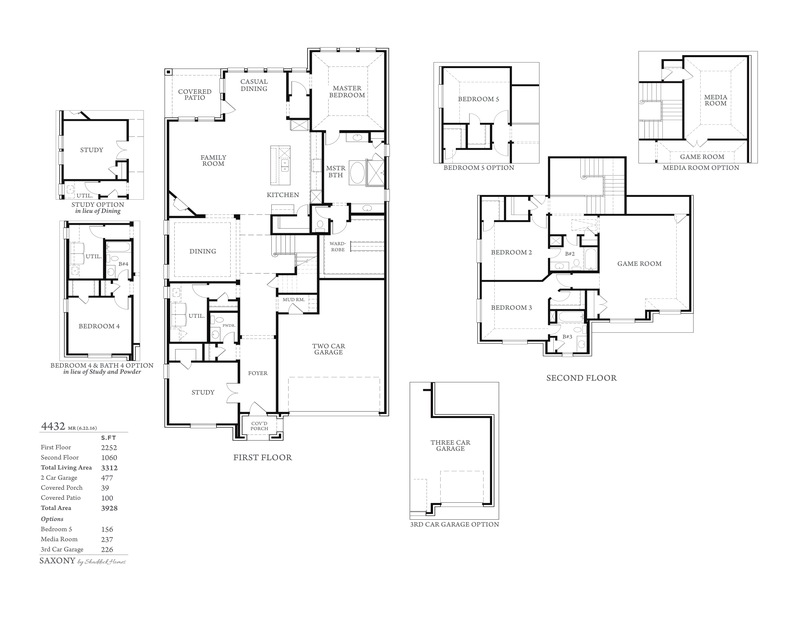 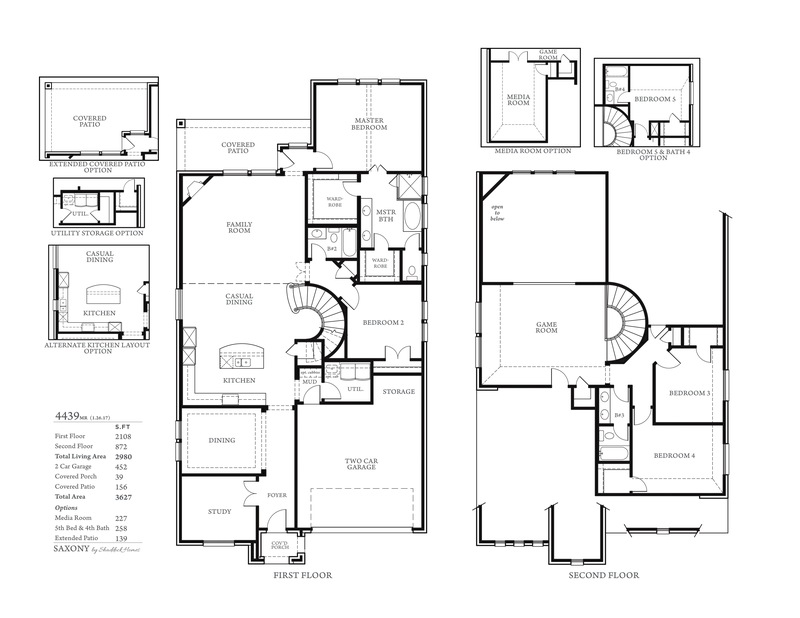 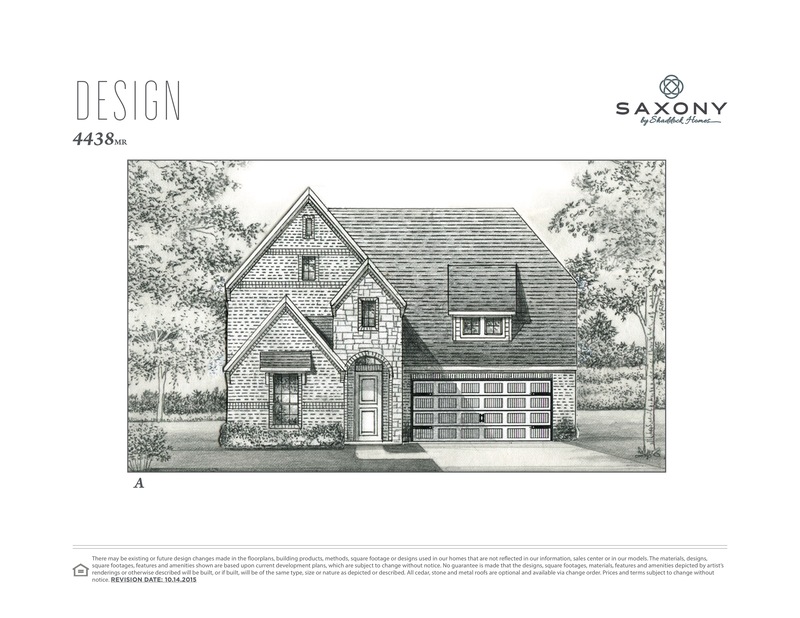 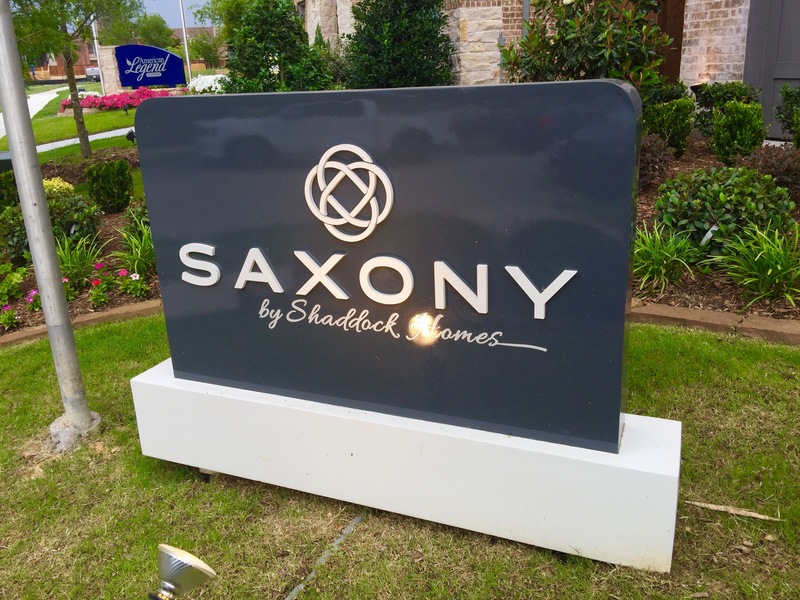 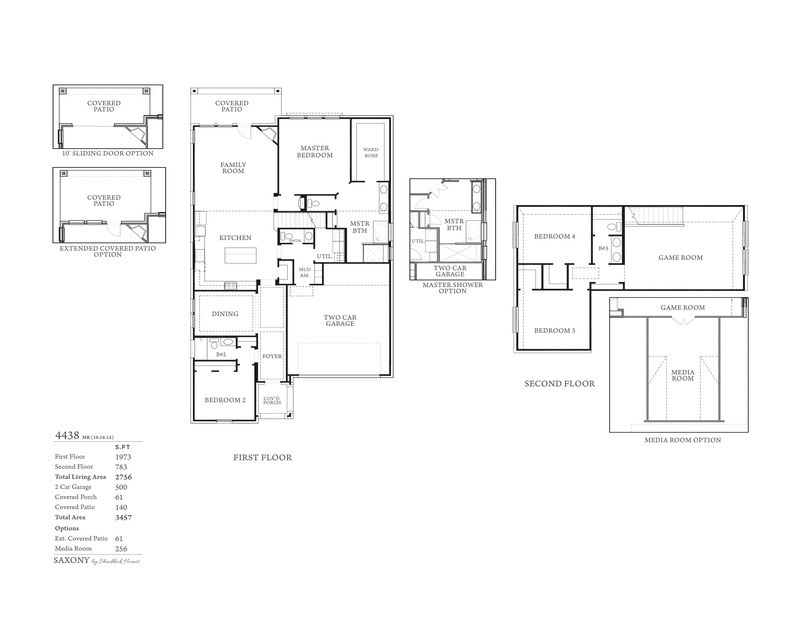 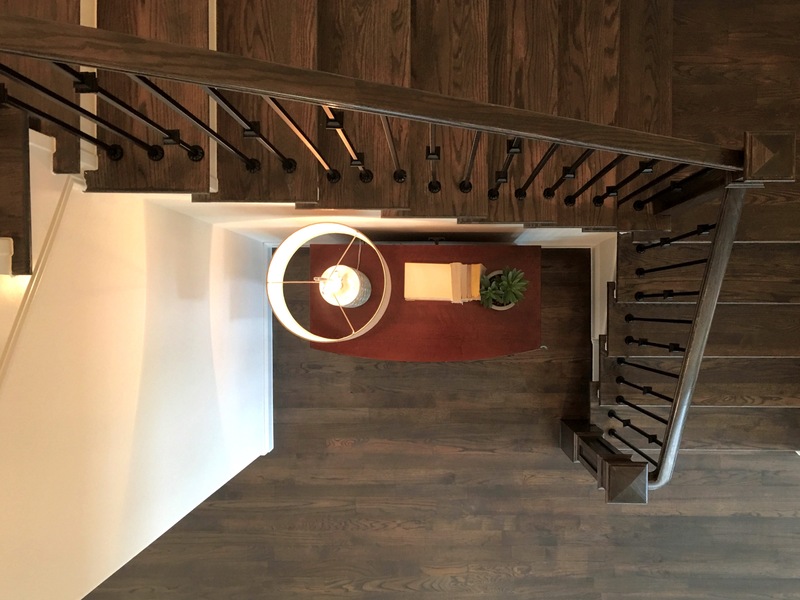 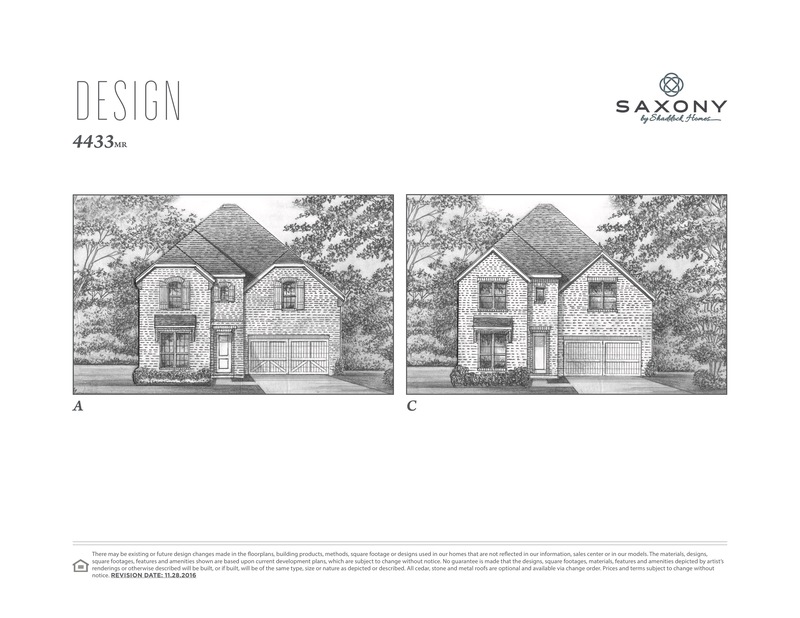 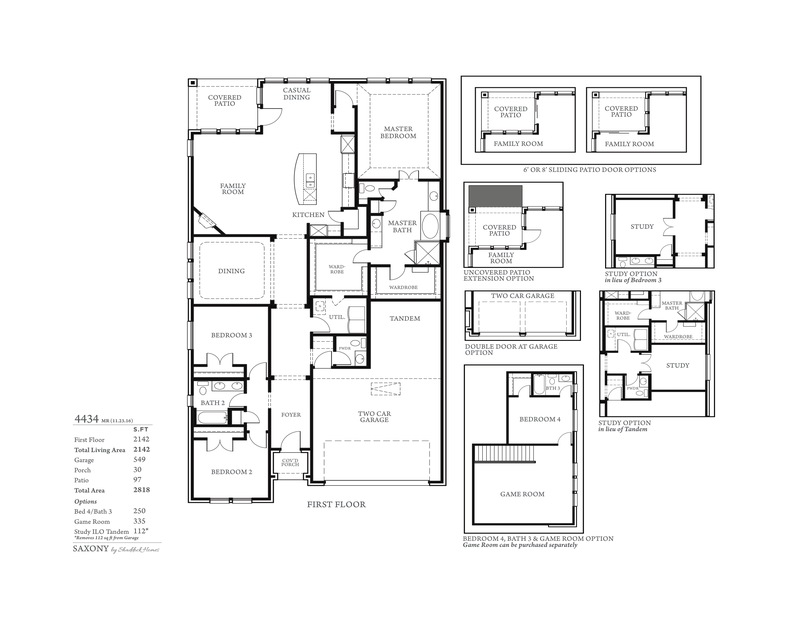 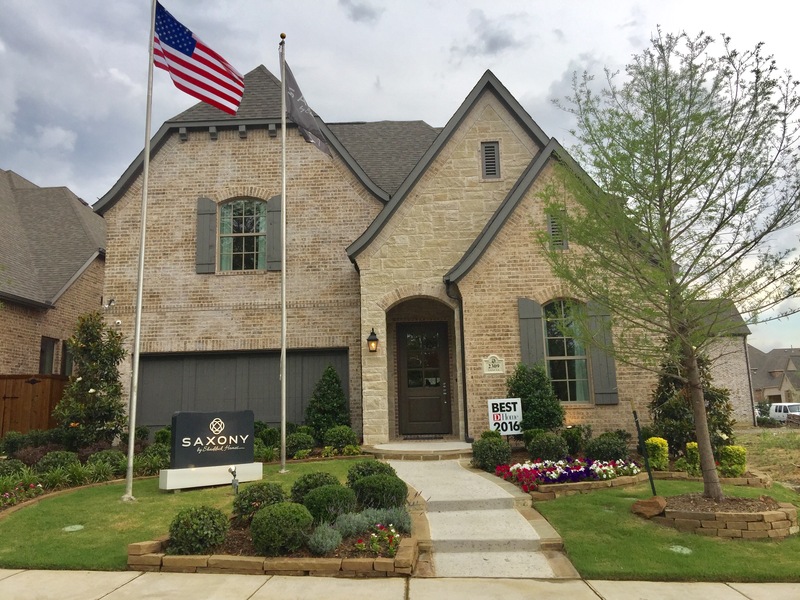 Saxony Homes (Shaddock Homes) brings it at usual, showing why they have a corner on the luxury market with their design and floor plans. 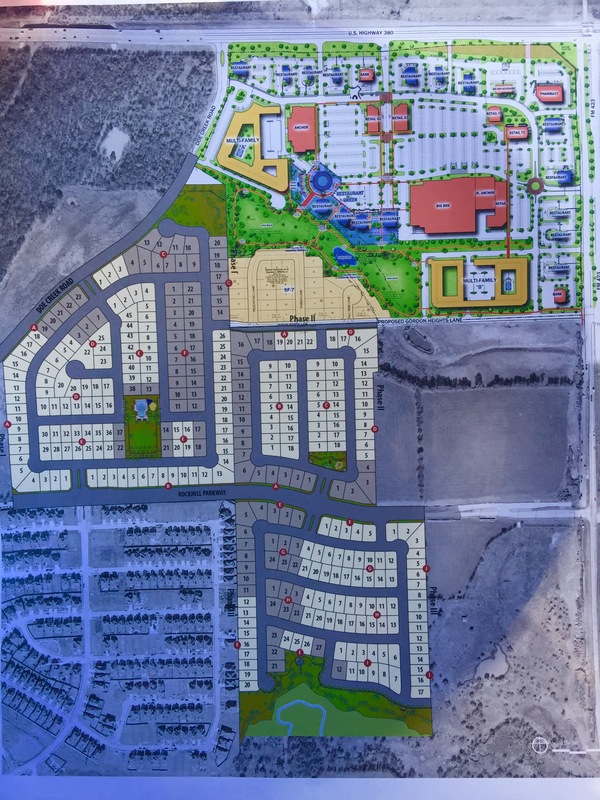 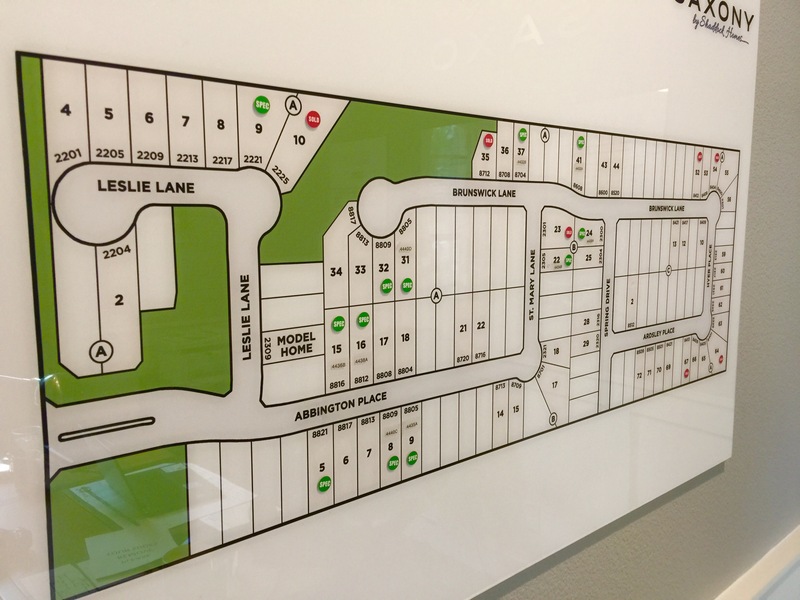 The larger lots are located to the left as you enter from the Parker entrance. 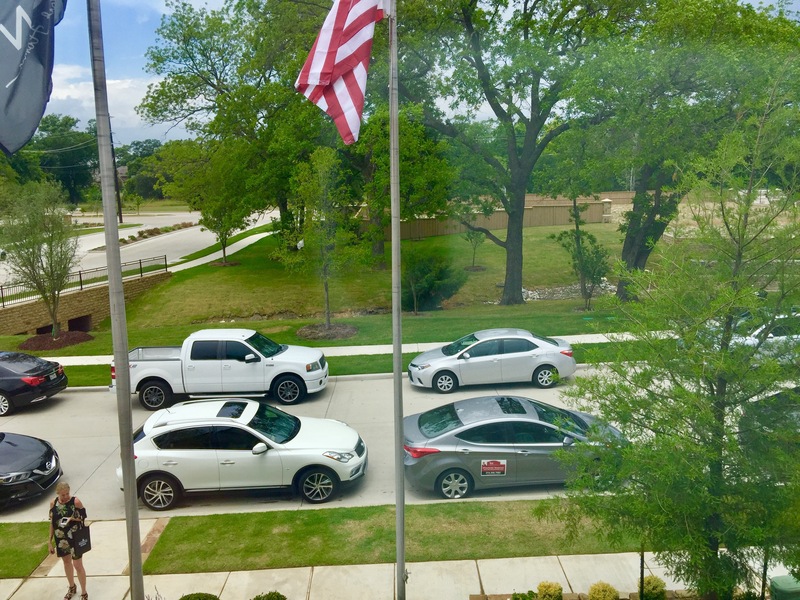 For all of you State Farm relos, Inspiration couldn’t be a better fit with its location and amenities to the new headquarters! 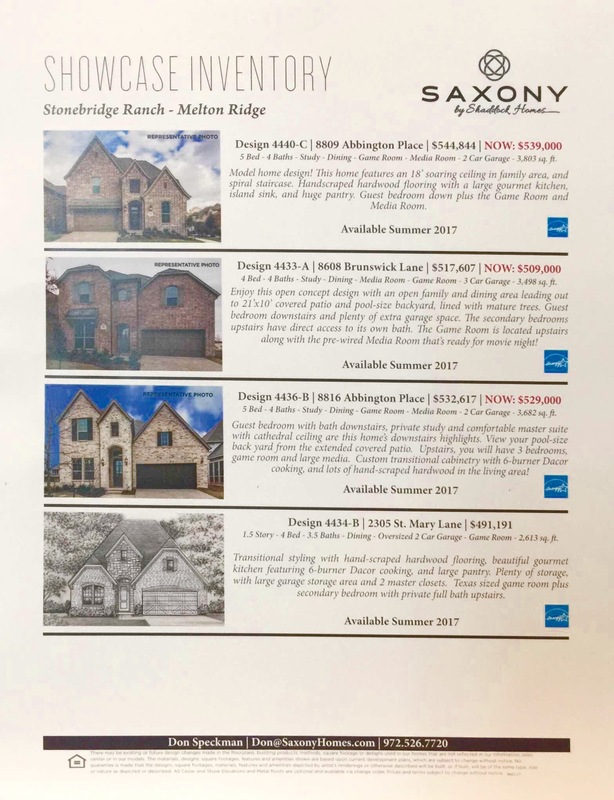 You should definitely take a look! 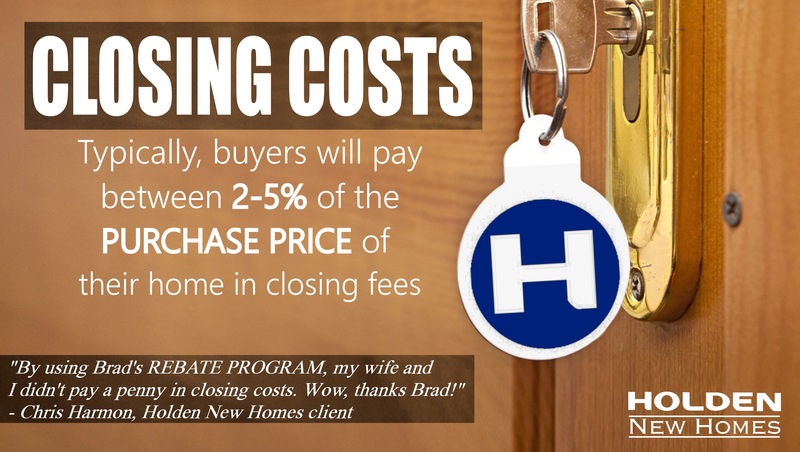 You will not find a better deal out there from any other realtor! 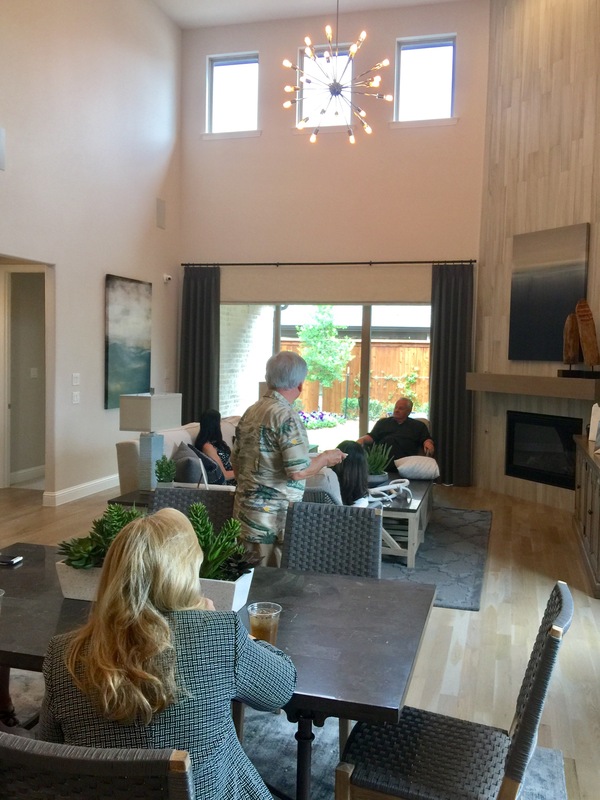 My connections run deep when negotiating and the builder will not give you a better deal if you do not use a realtor. 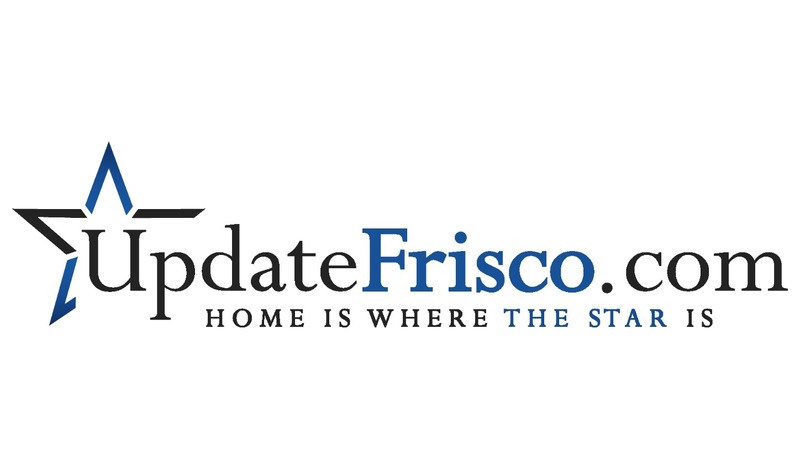 ASK THEM! 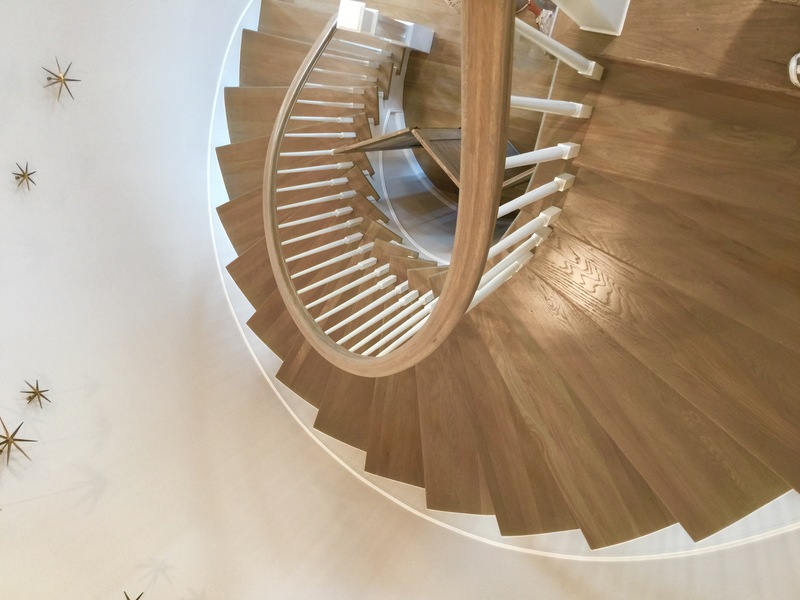 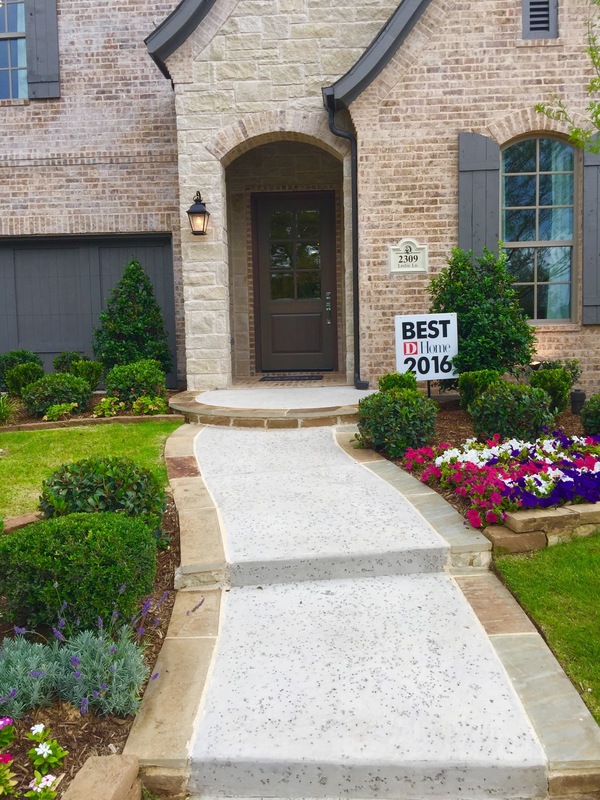 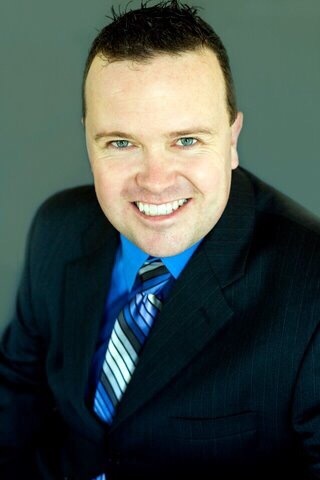 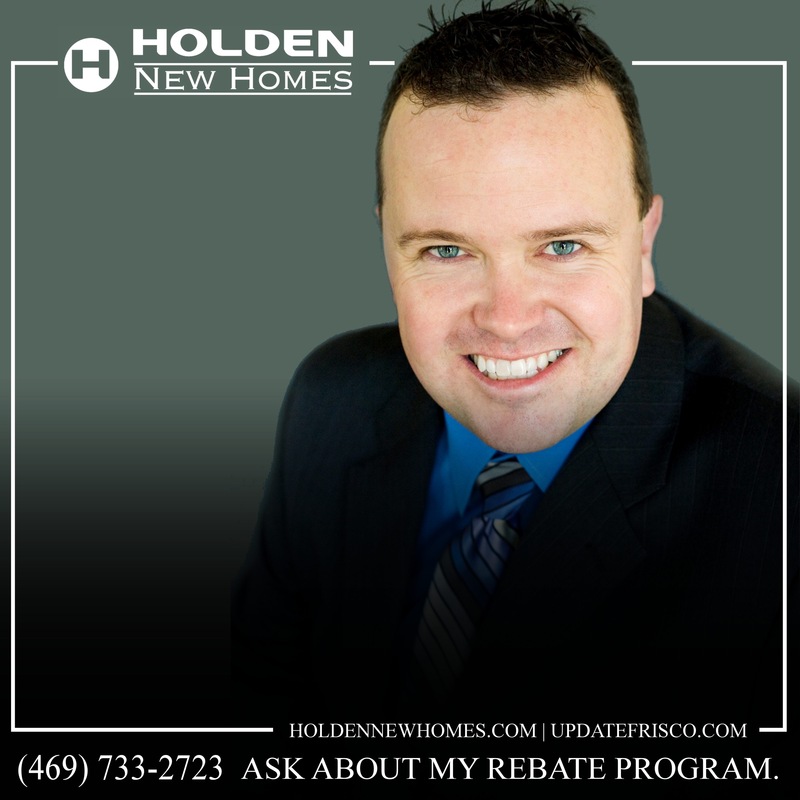 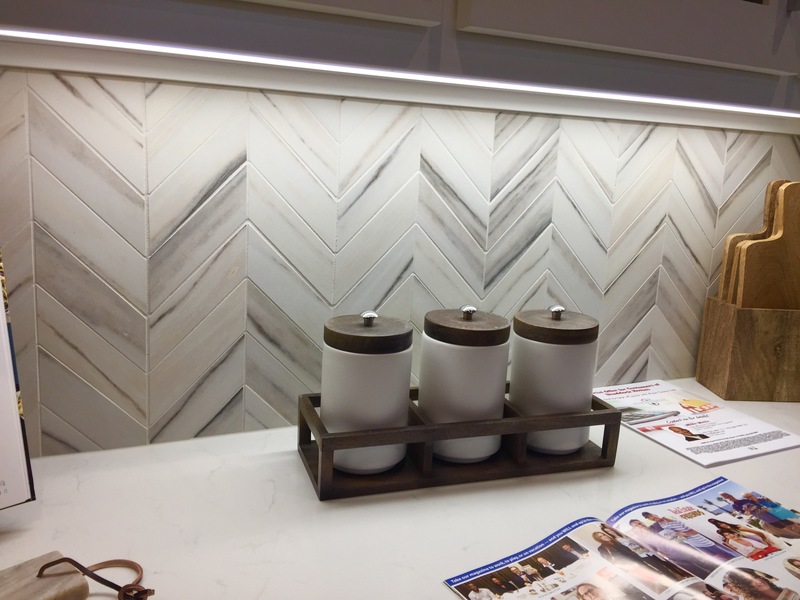 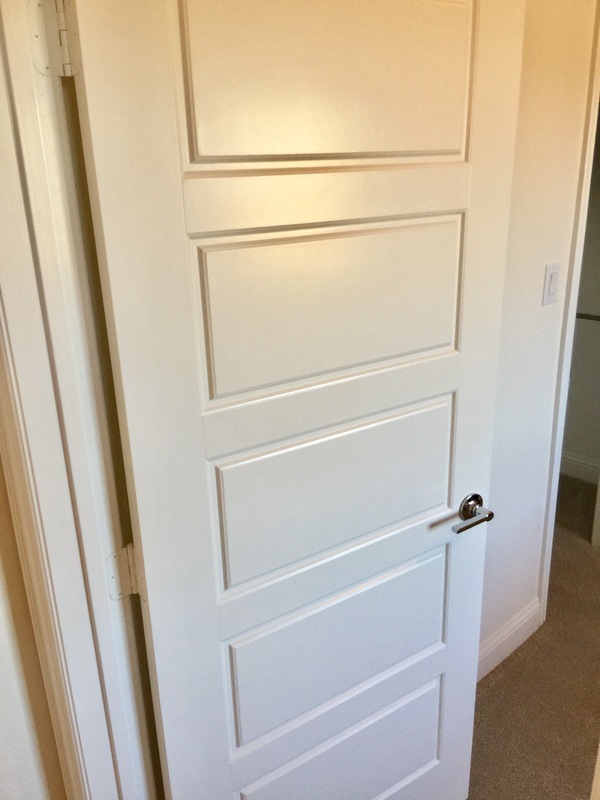 Text or call Brad Holden today at (469) 733-2723 if you plan to write a contract at Inspiration or have questions about Inspiration, the builders or any other community in DFW.